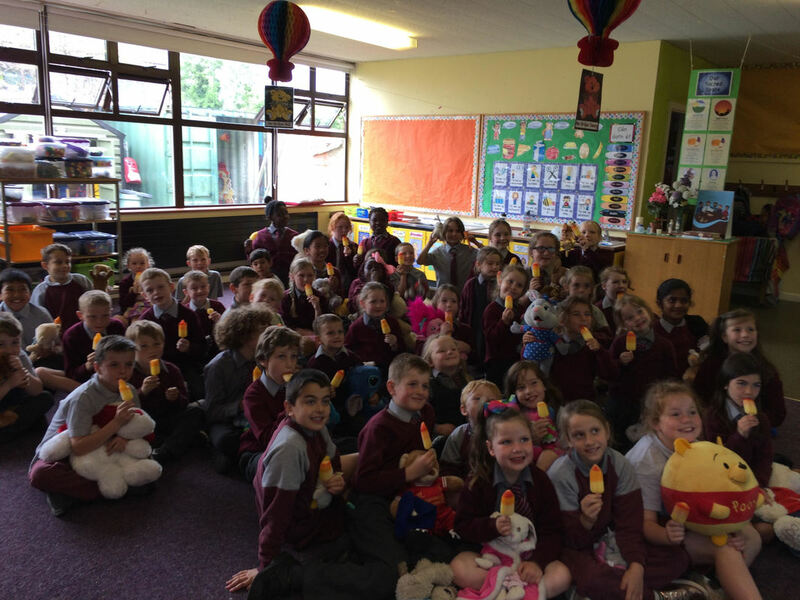 The girls and boys in Junior Infants and 3rd Class have worked so hard all year long so we decided to go on a Teddy Bear's Picnic. 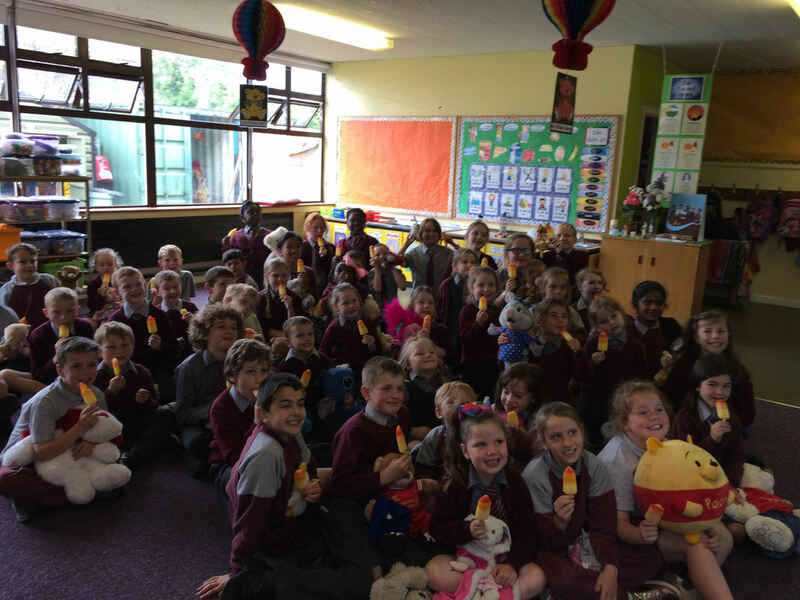 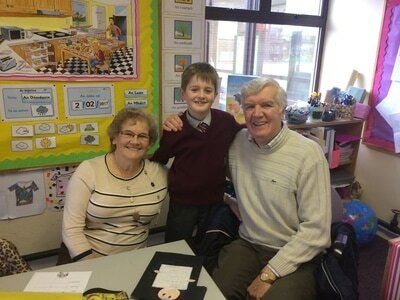 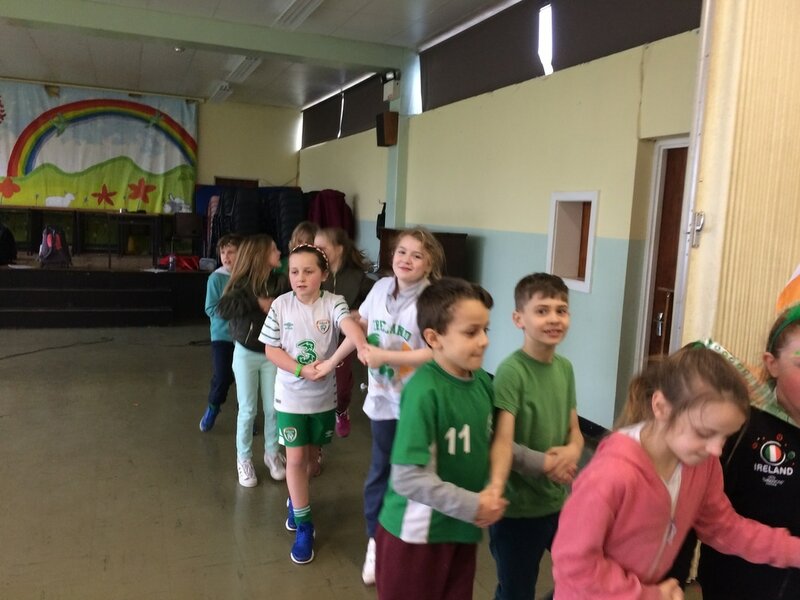 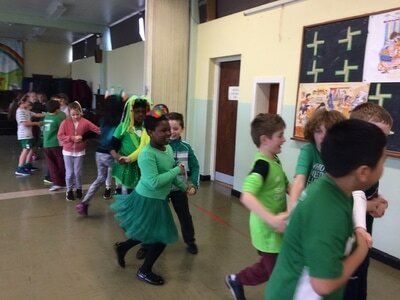 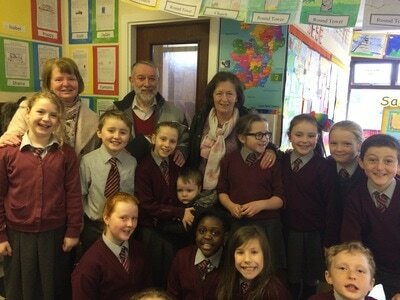 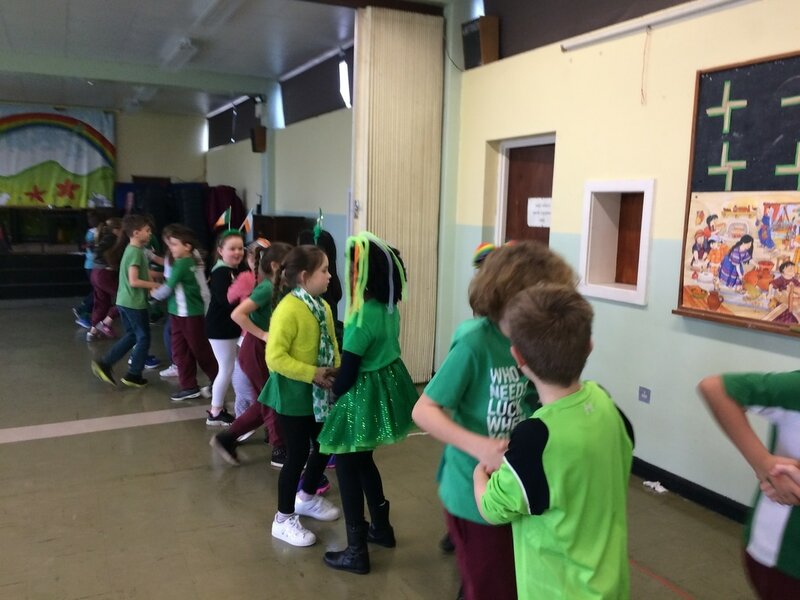 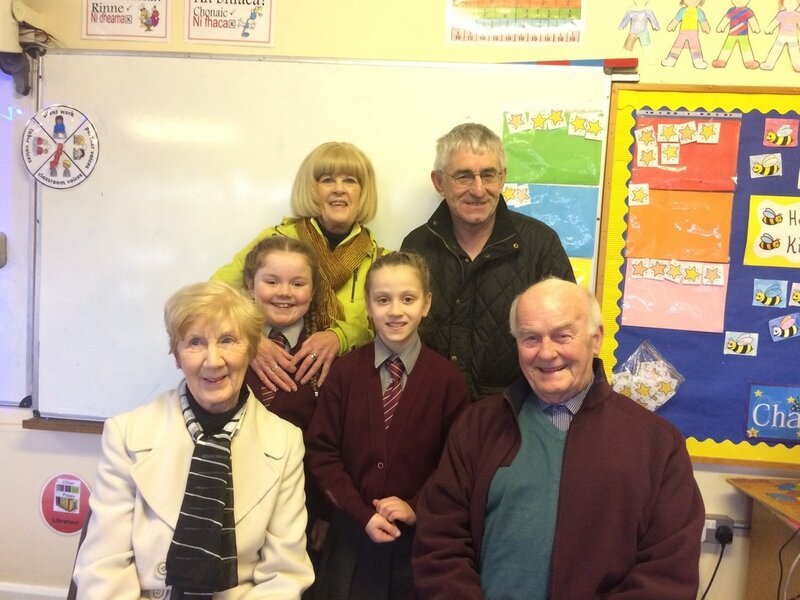 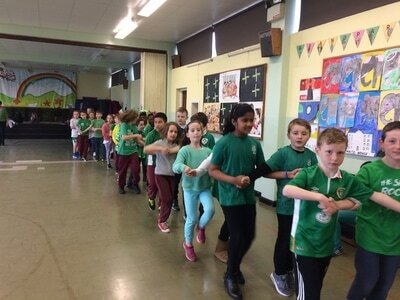 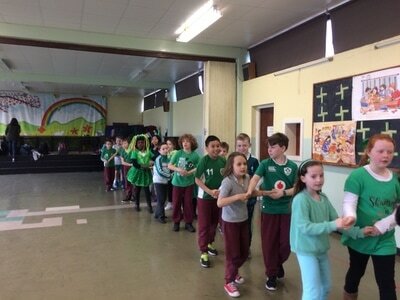 3rd class were delighted to buddy up again with their Junior Infant from Friendship Week. 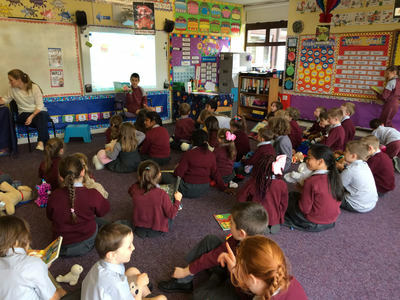 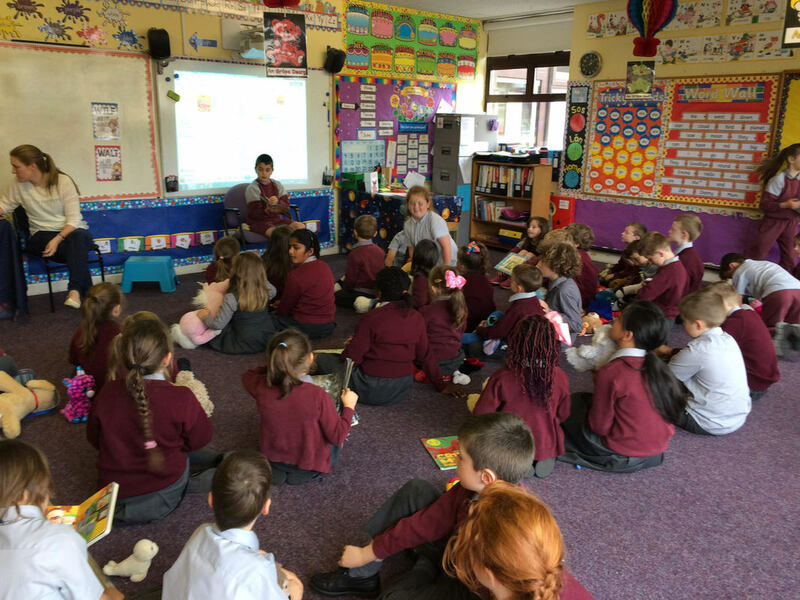 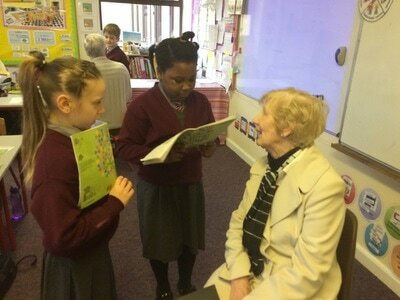 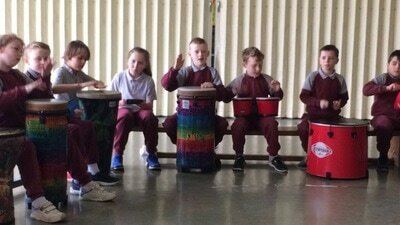 We listened to songs and 3rd class read story books aloud for us all. 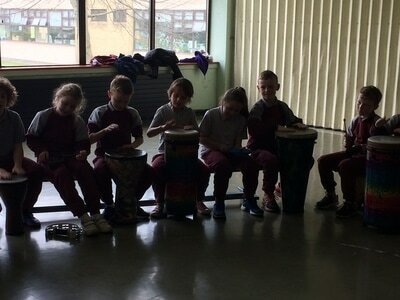 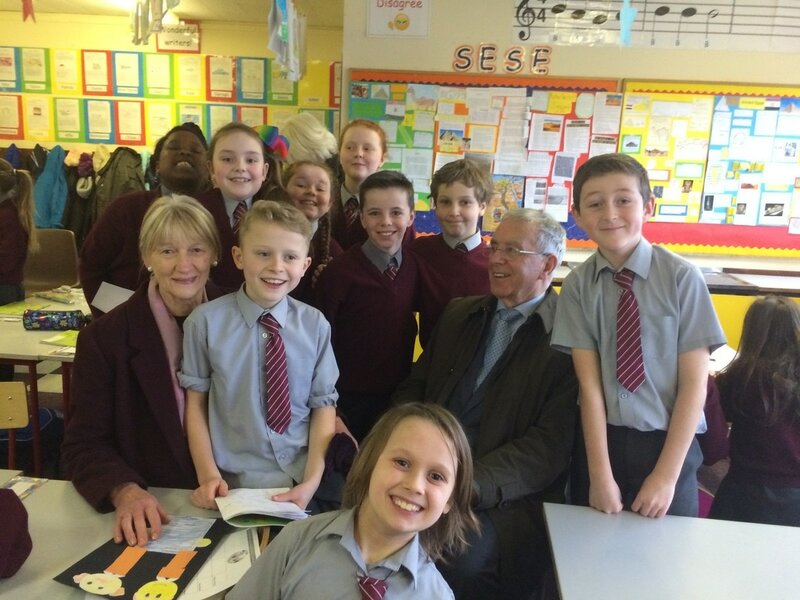 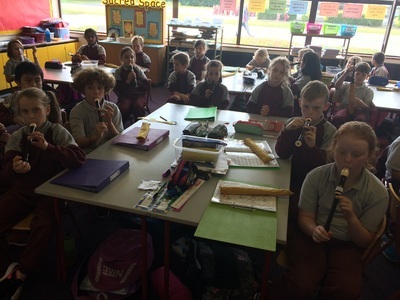 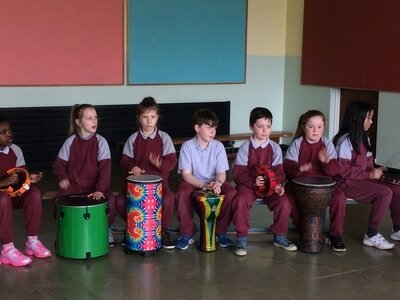 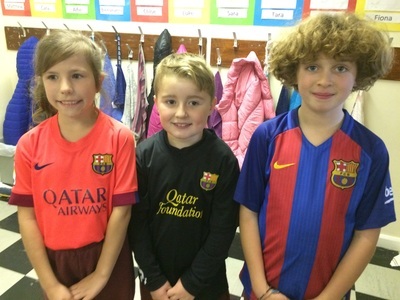 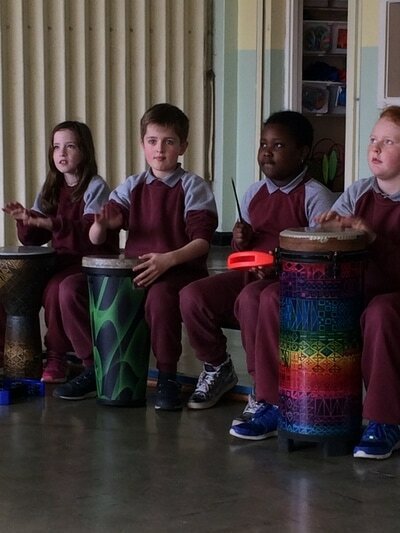 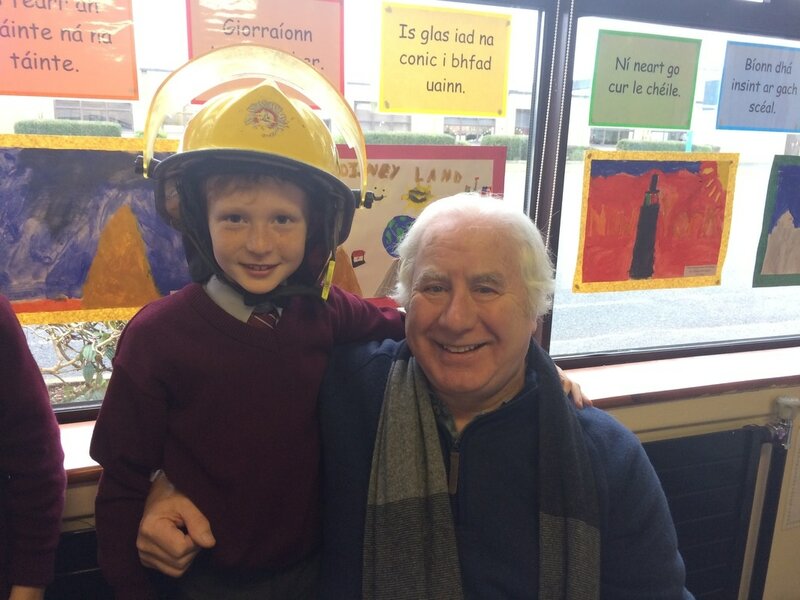 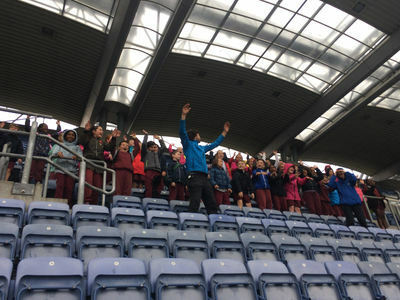 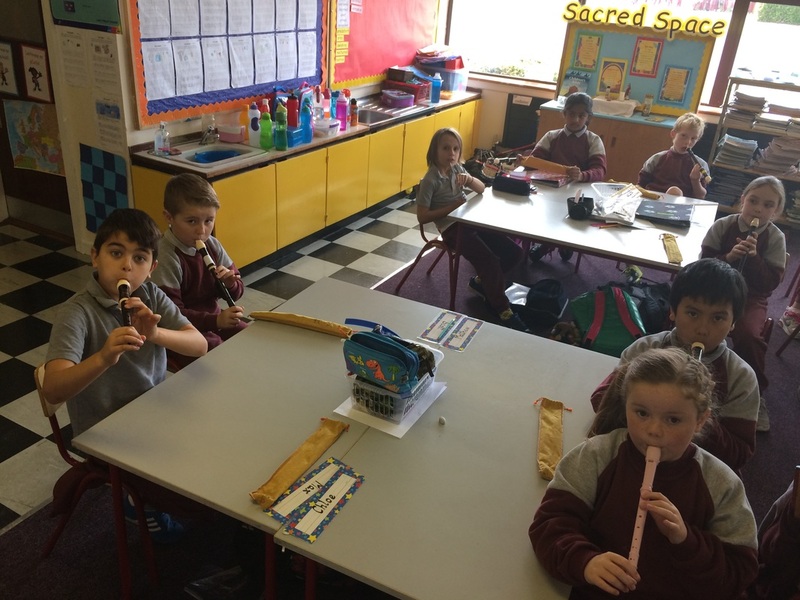 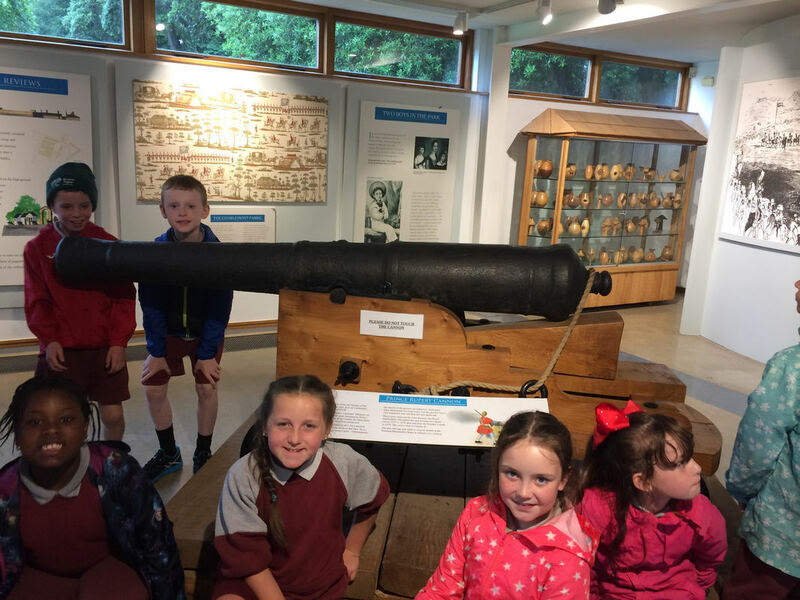 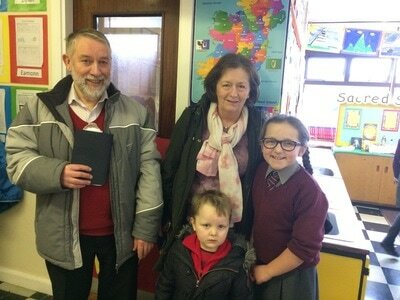 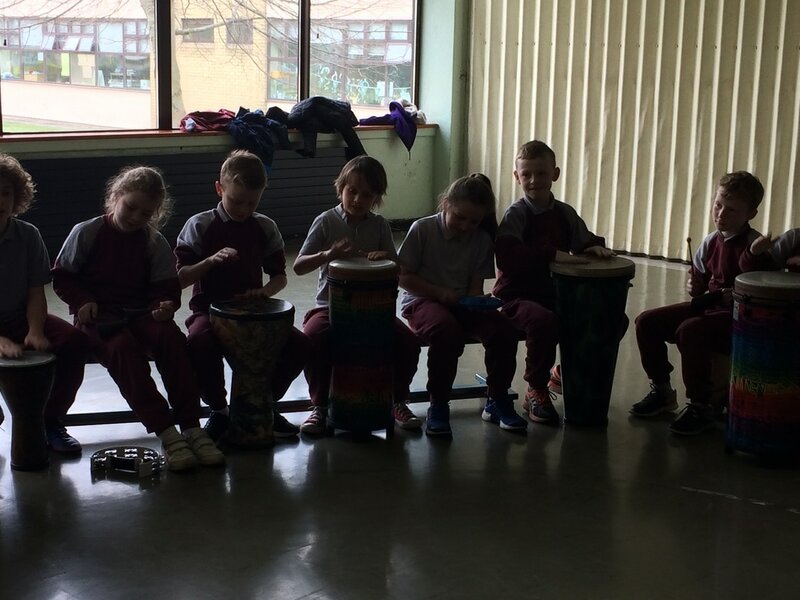 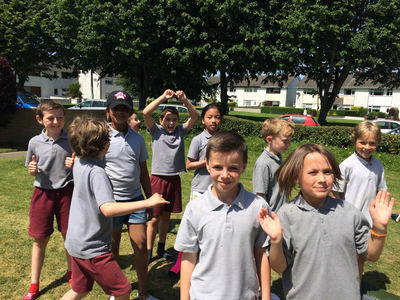 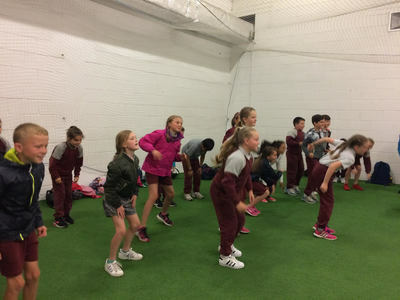 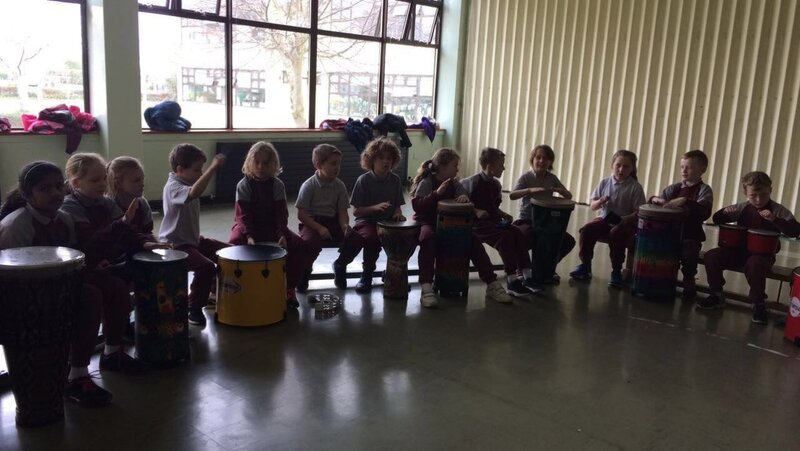 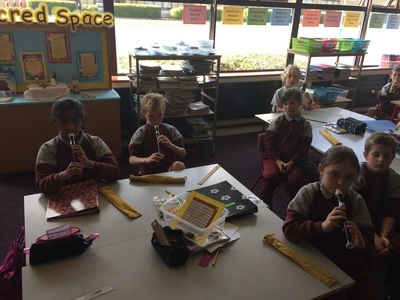 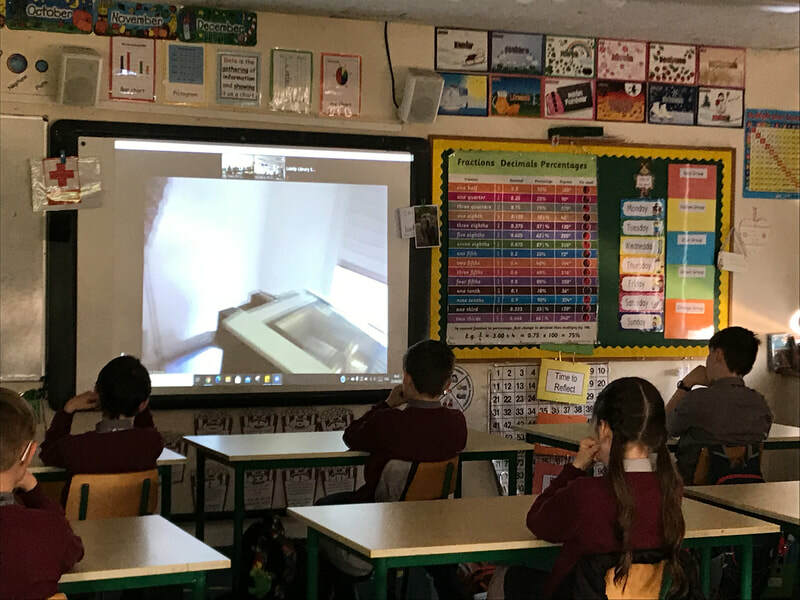 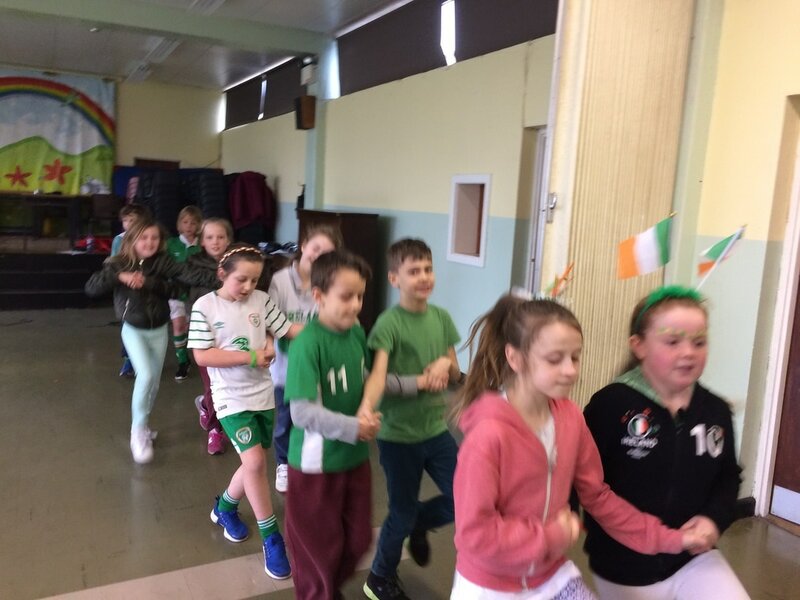 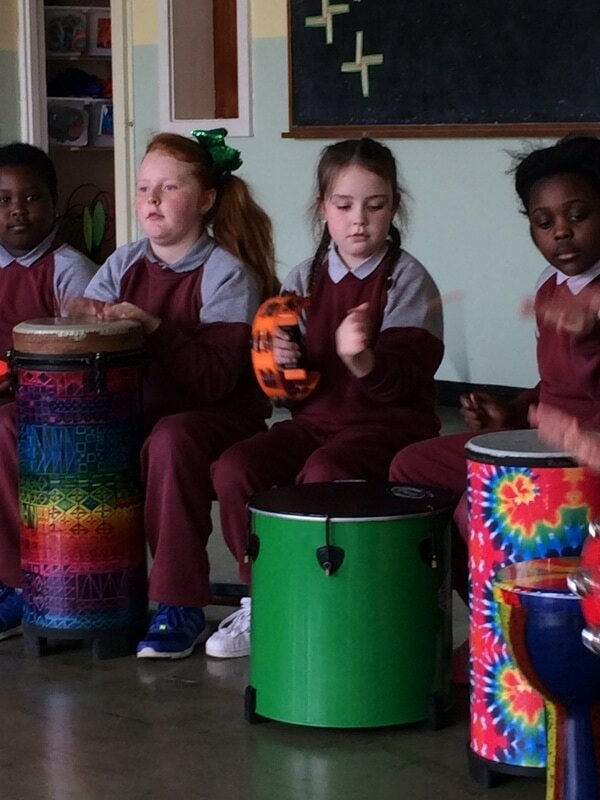 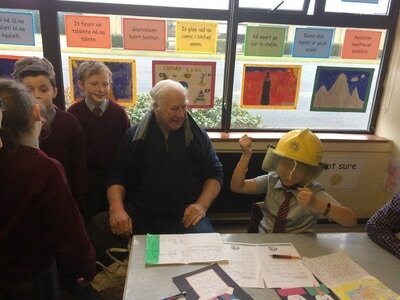 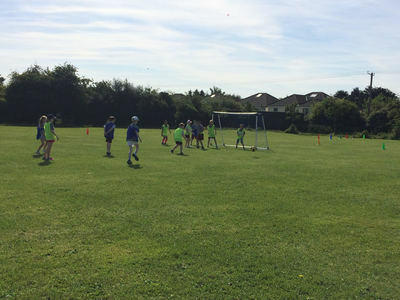 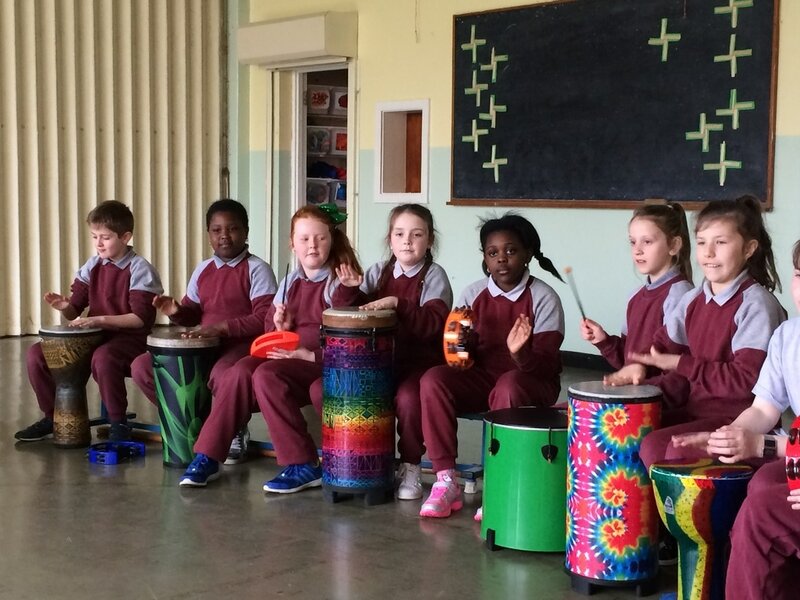 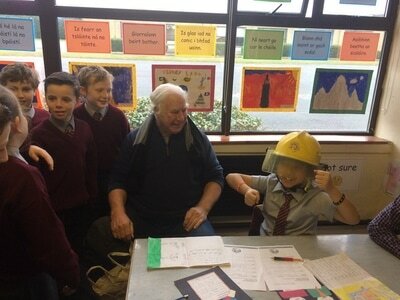 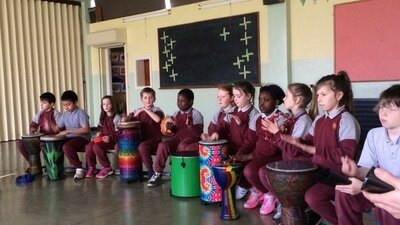 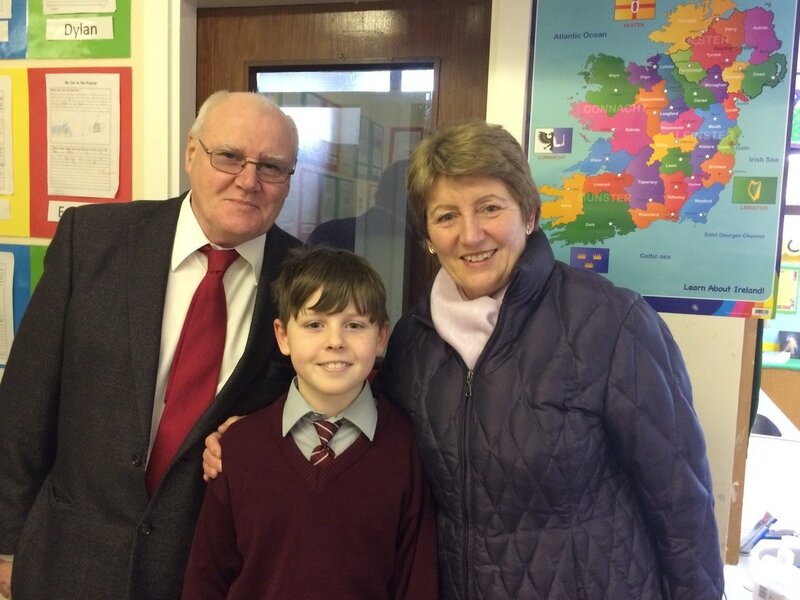 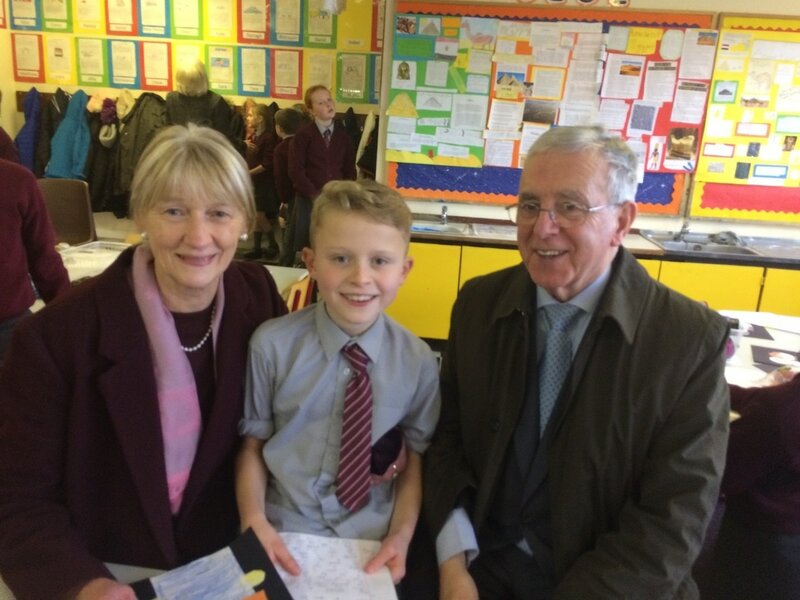 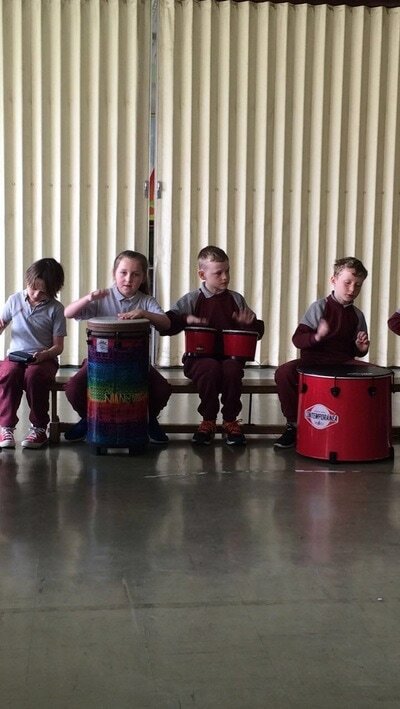 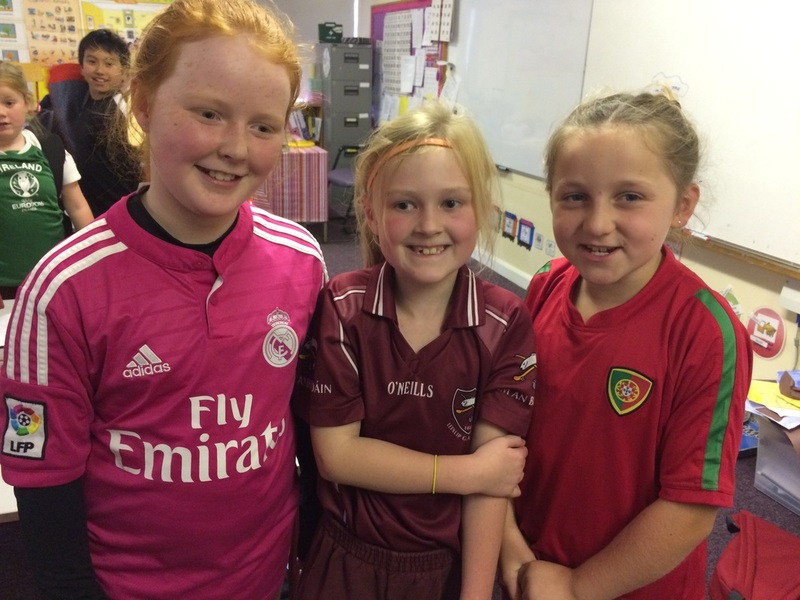 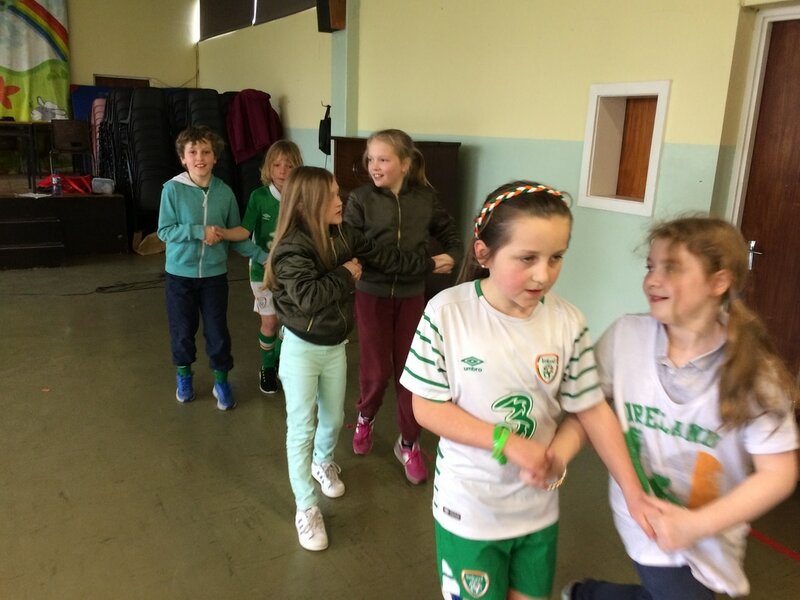 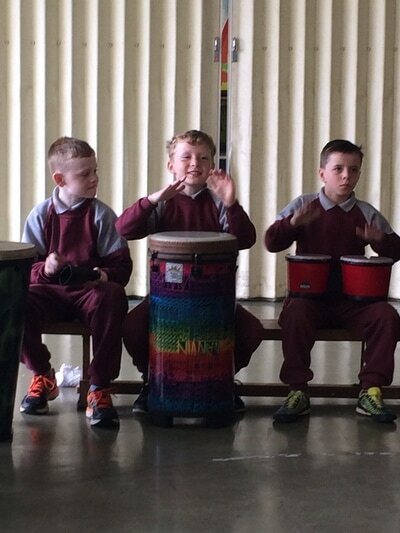 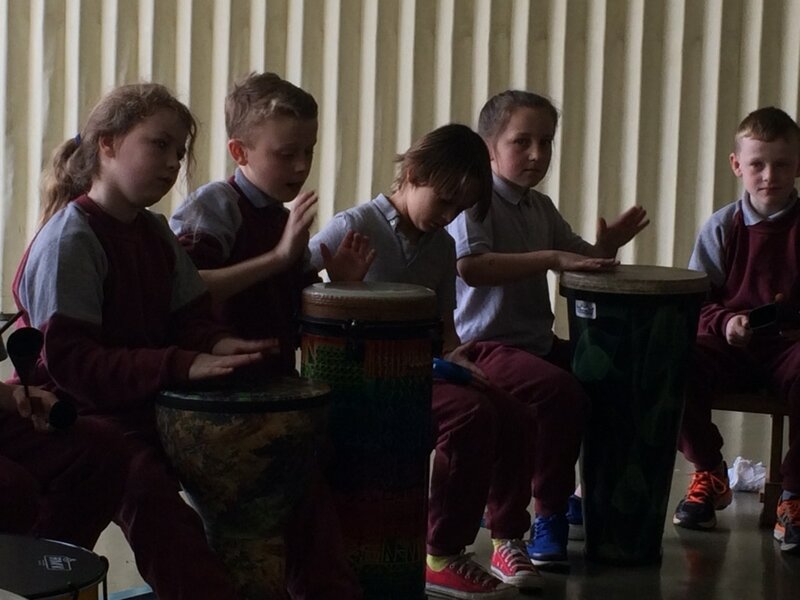 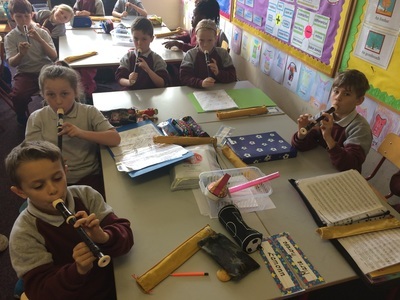 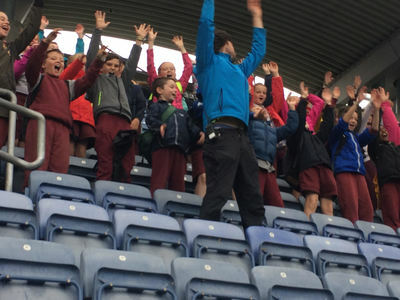 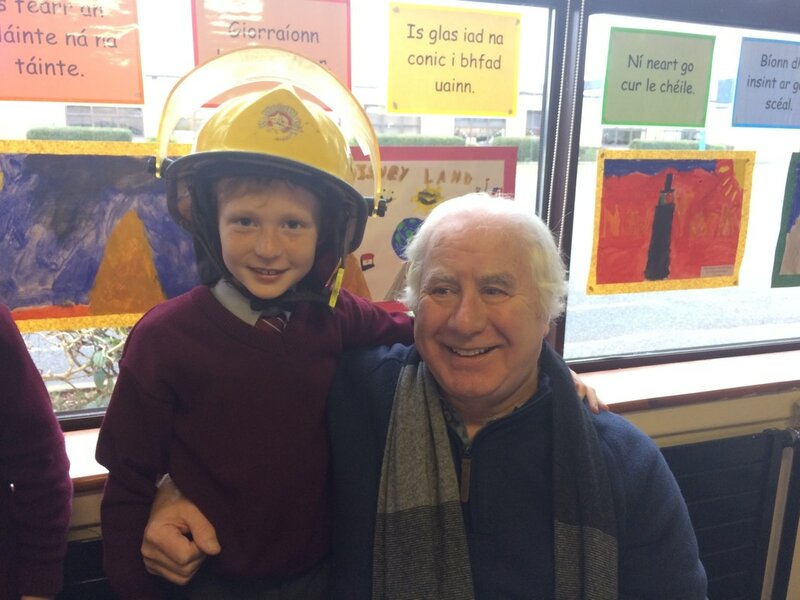 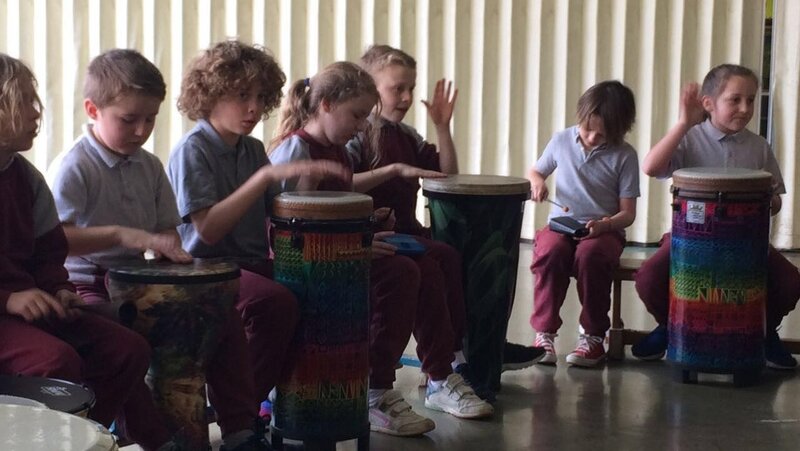 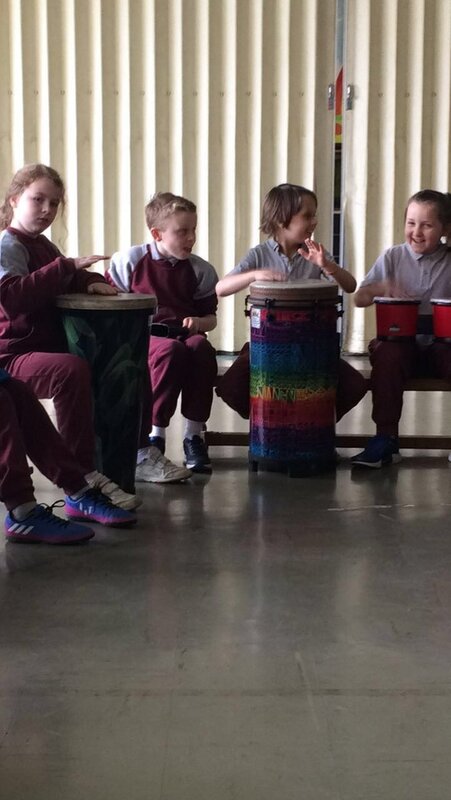 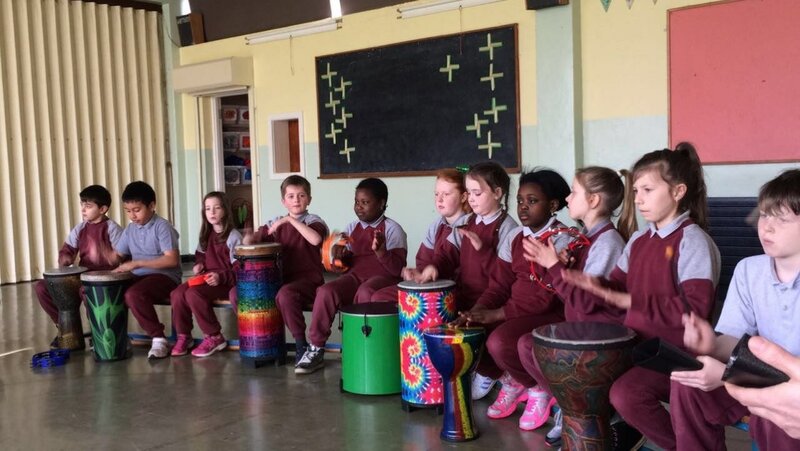 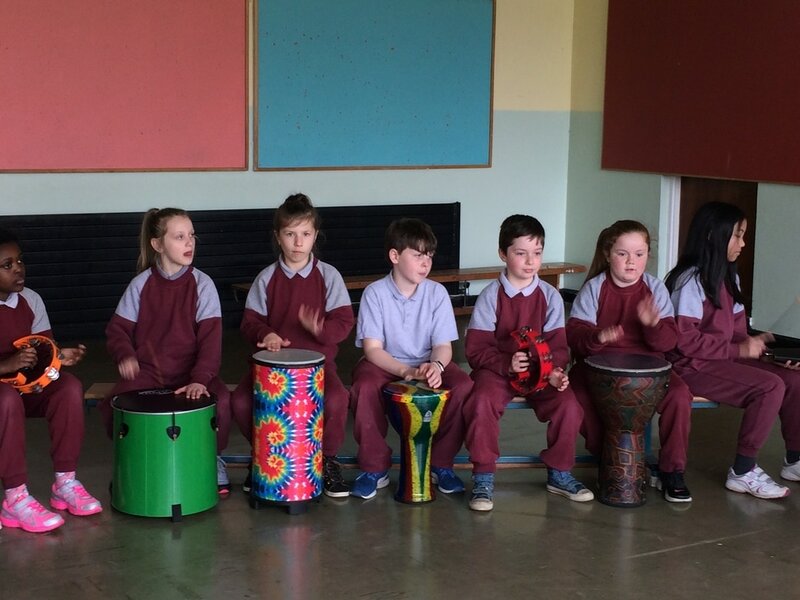 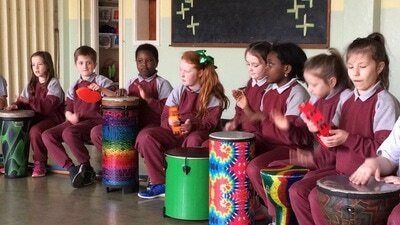 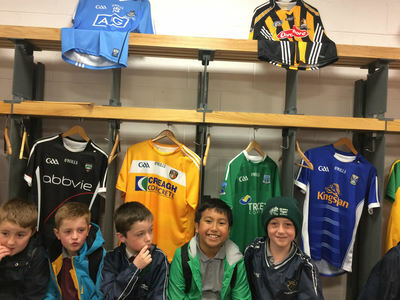 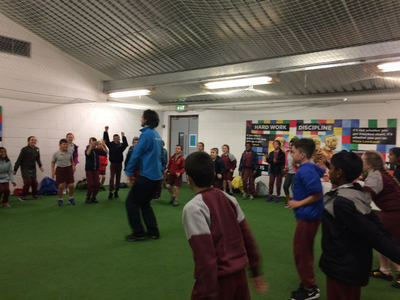 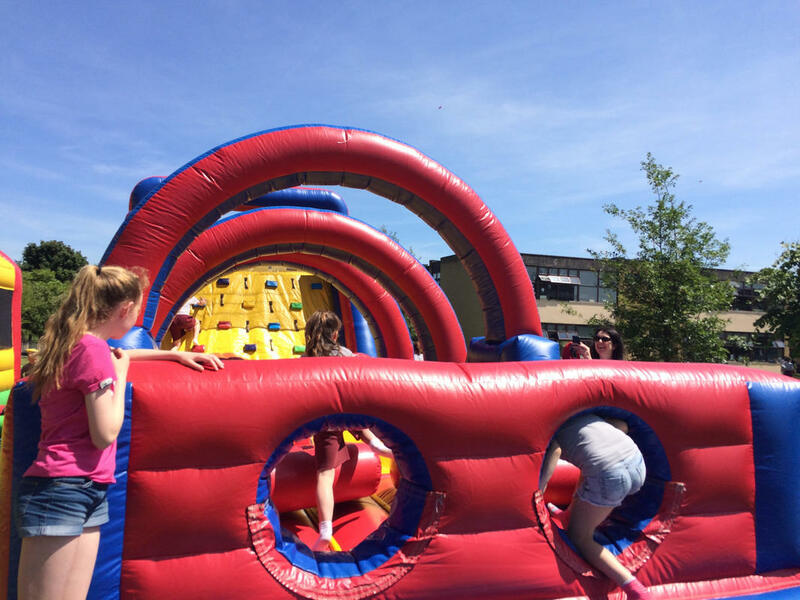 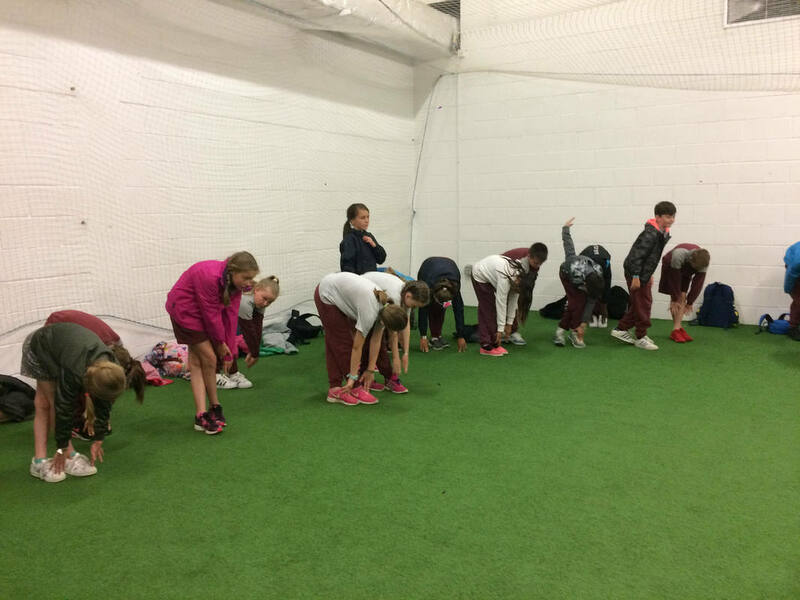 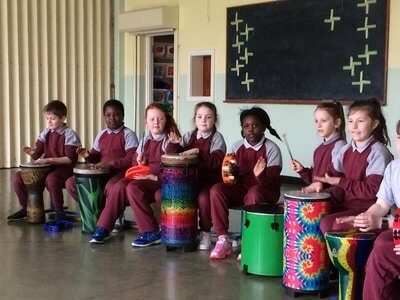 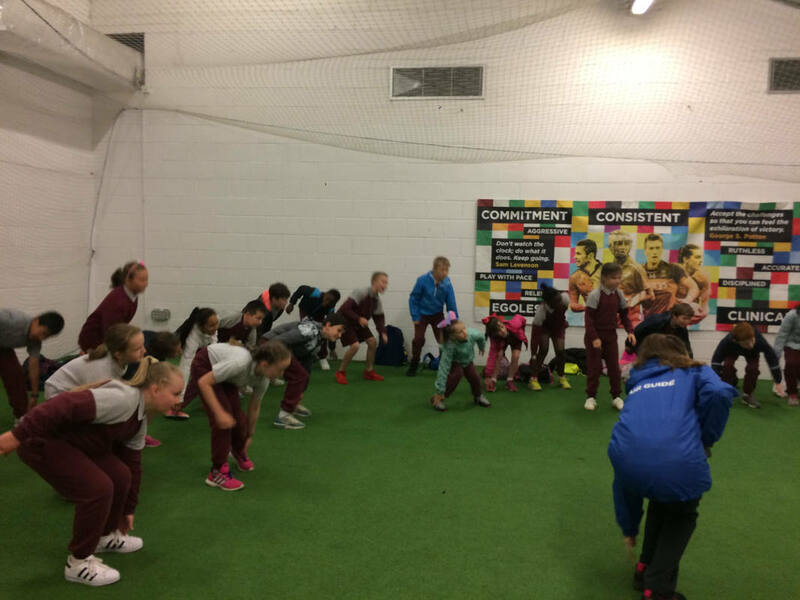 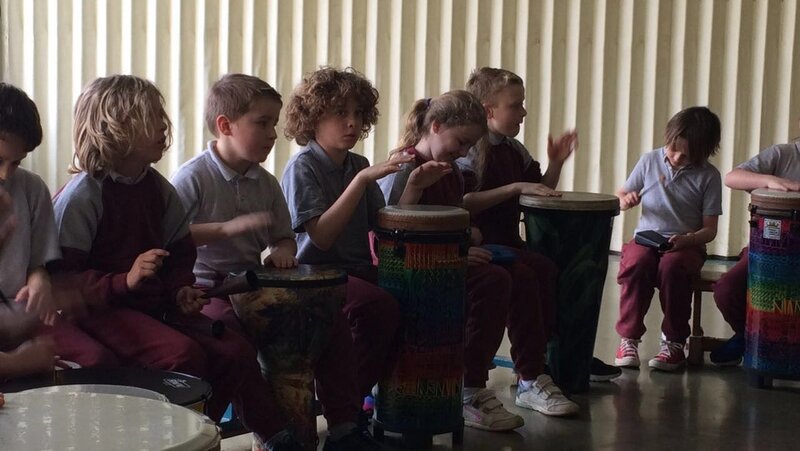 3rd and 4th Class had their School Tour on Wednesday. 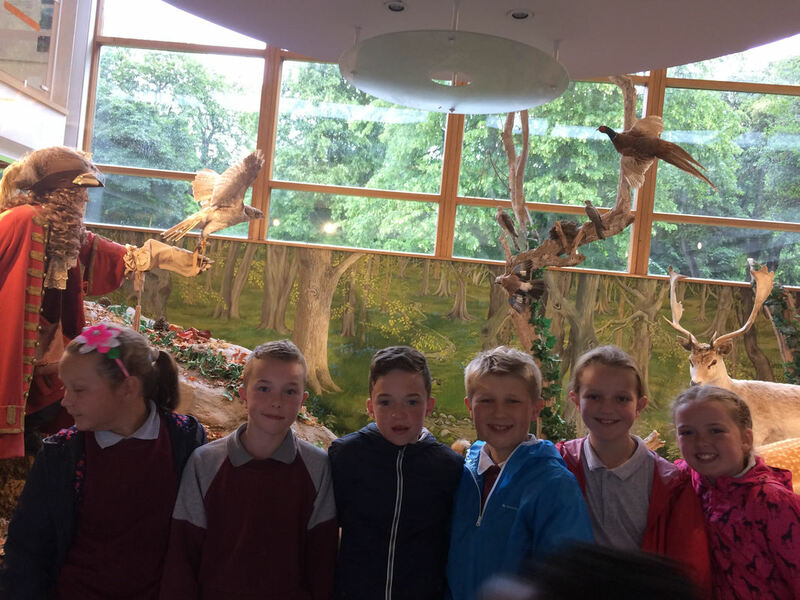 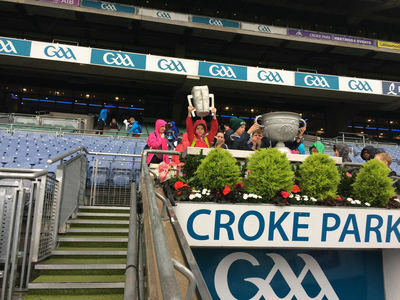 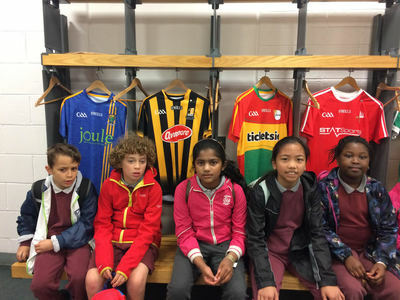 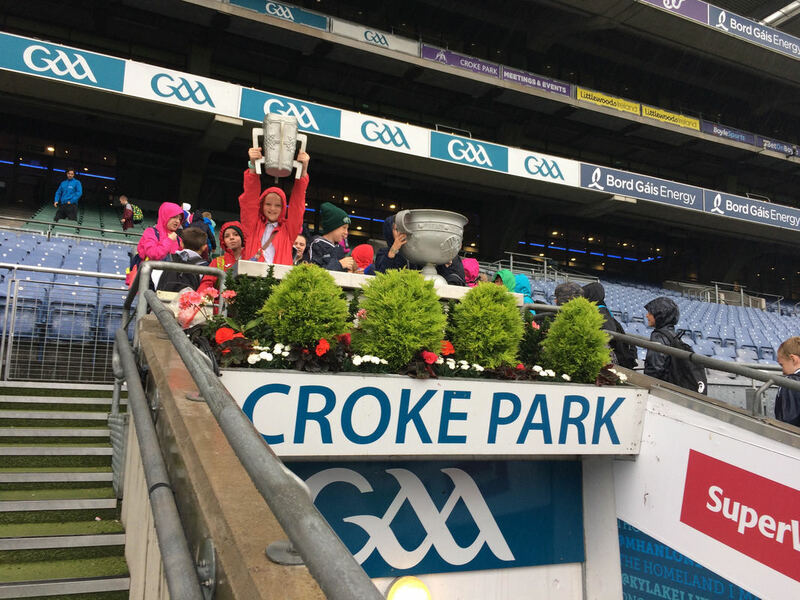 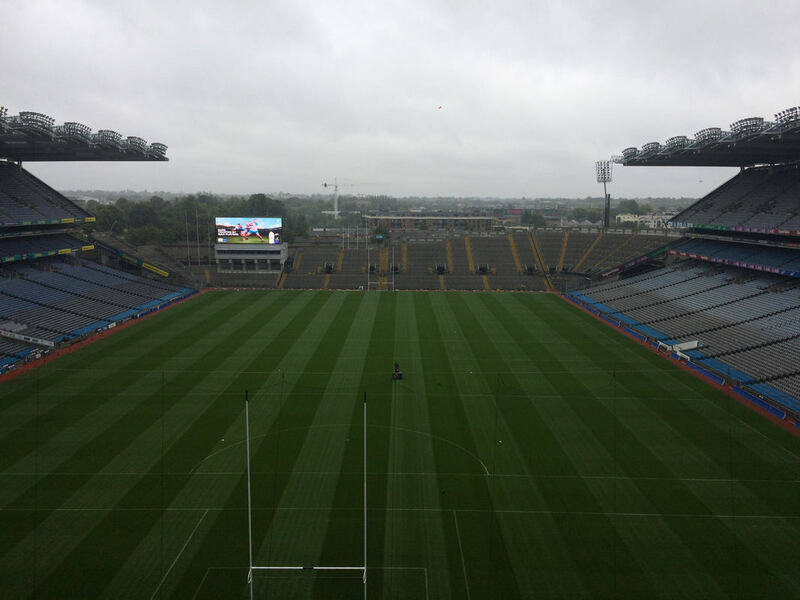 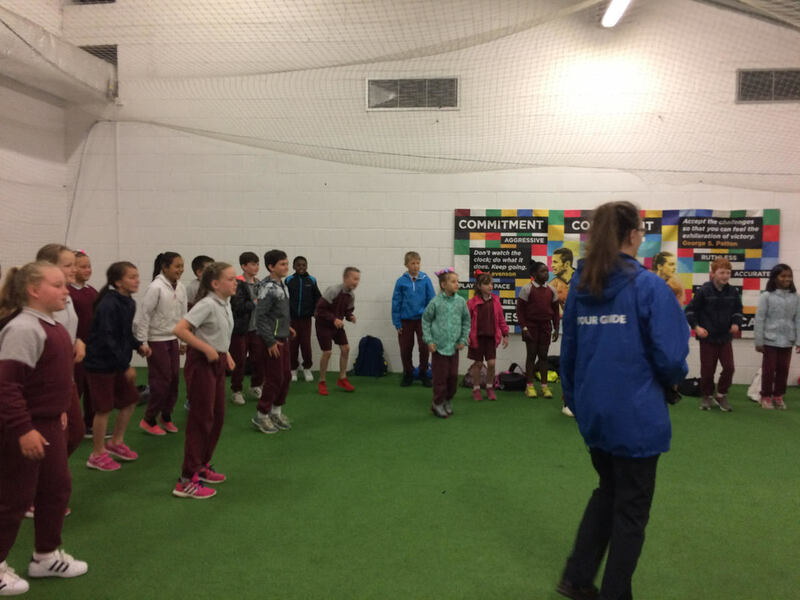 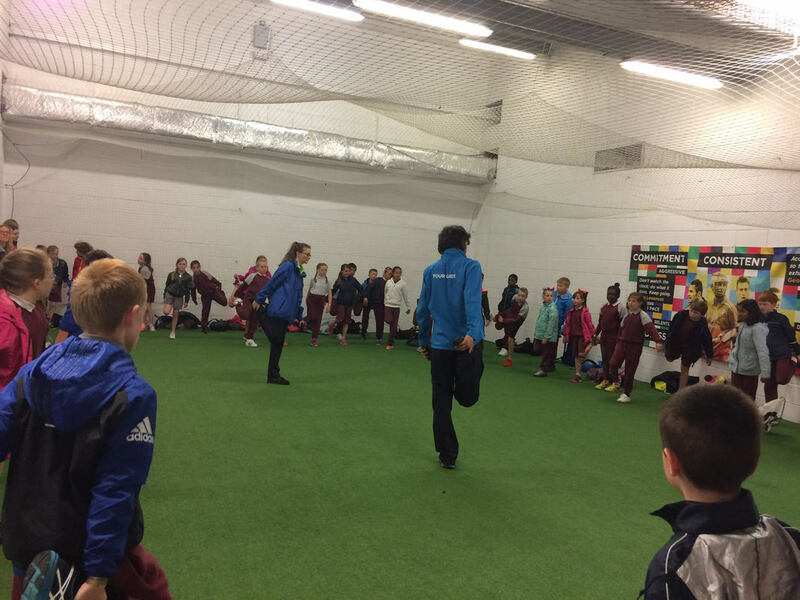 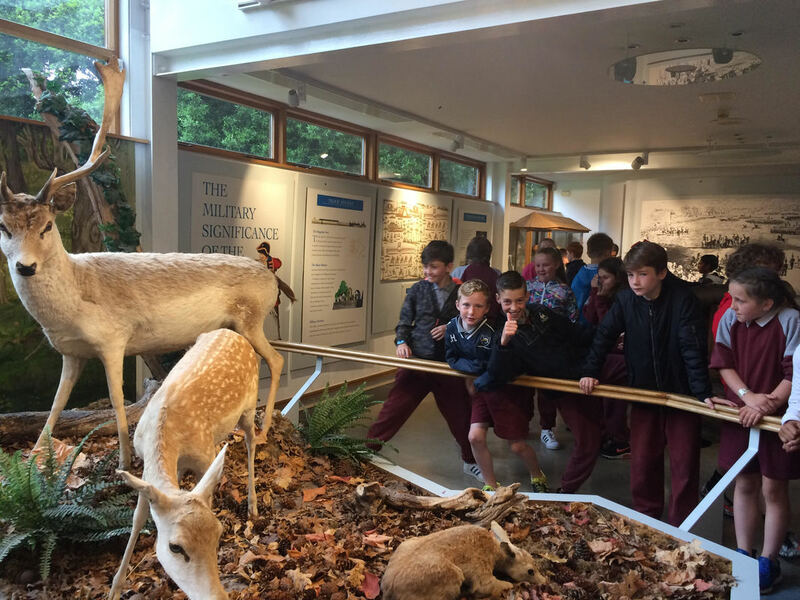 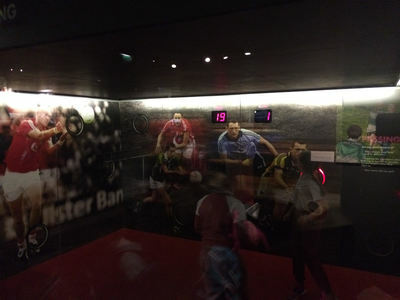 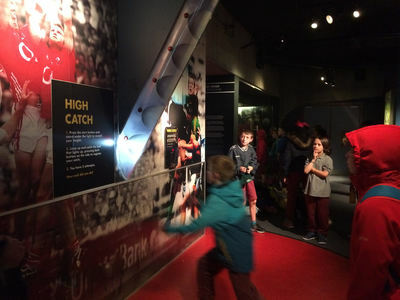 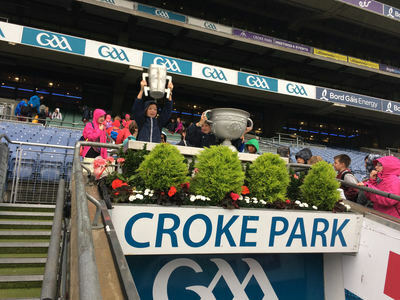 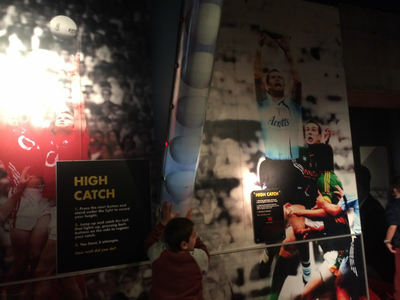 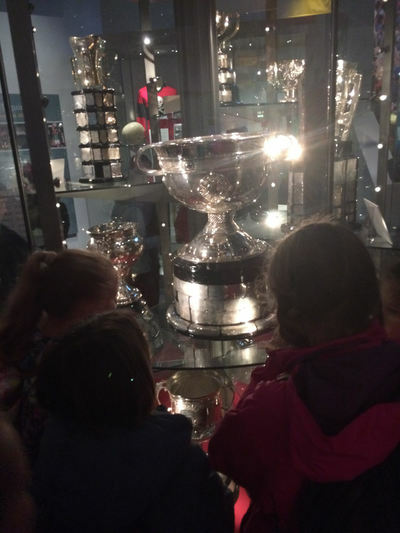 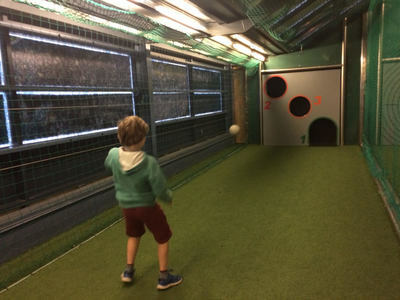 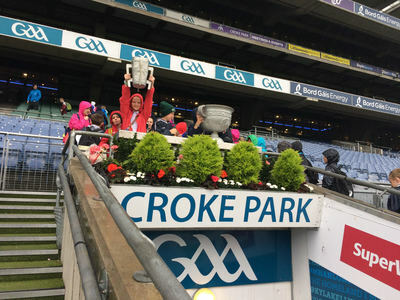 We visited Croke Park and Ashford Castle Visitor Centre. Even with the rain we had a fantastic trip! 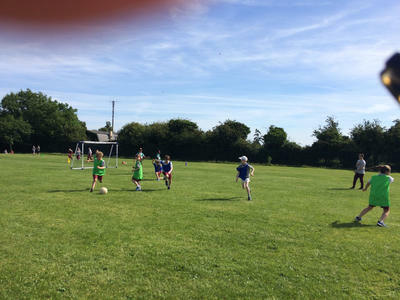 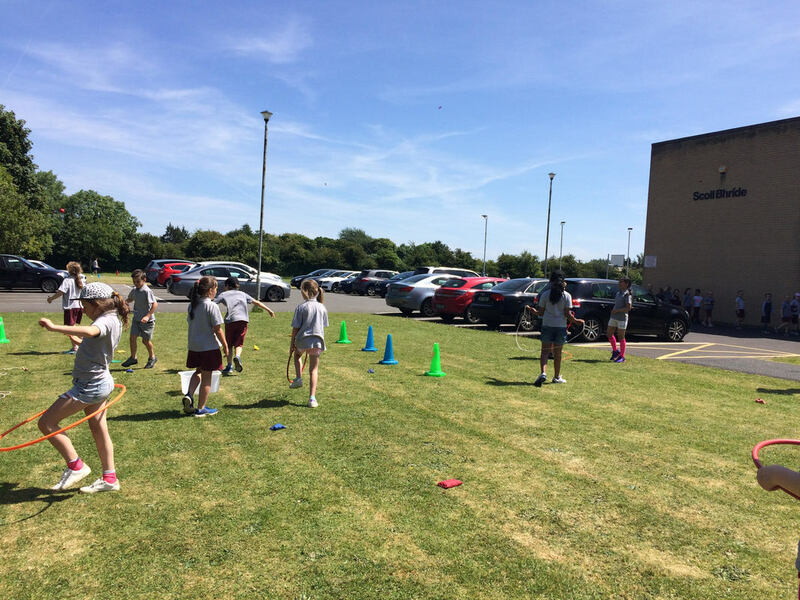 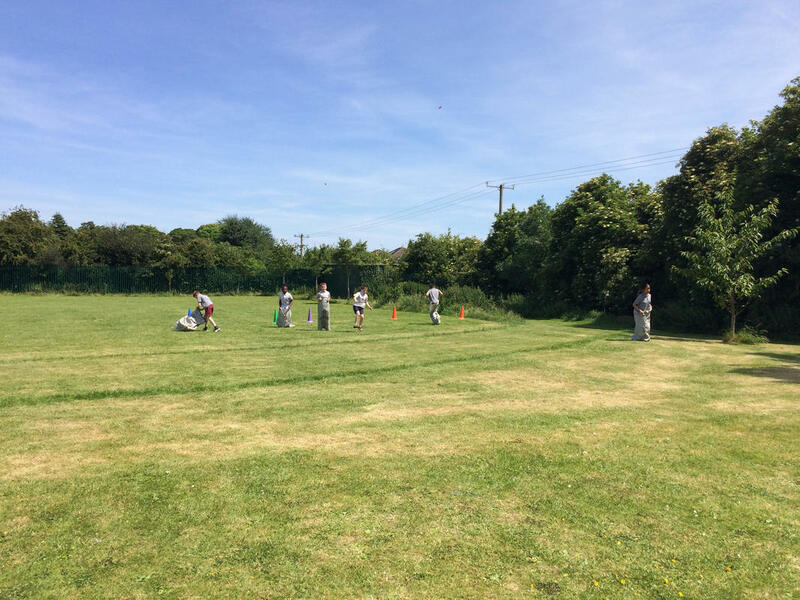 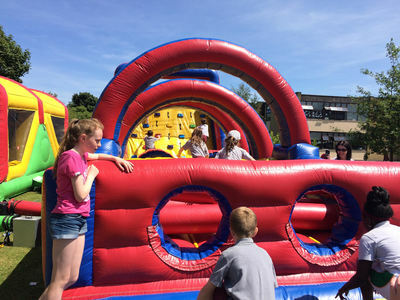 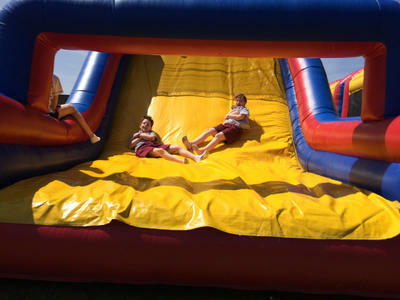 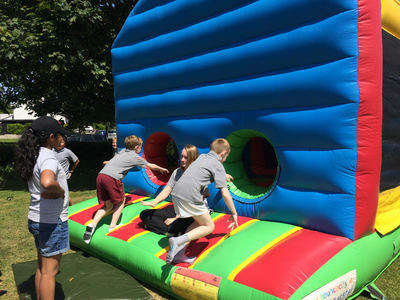 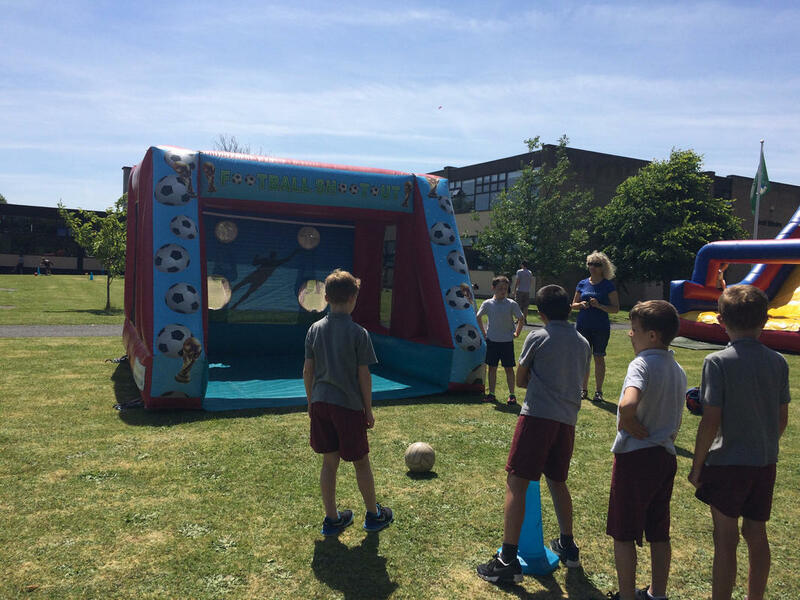 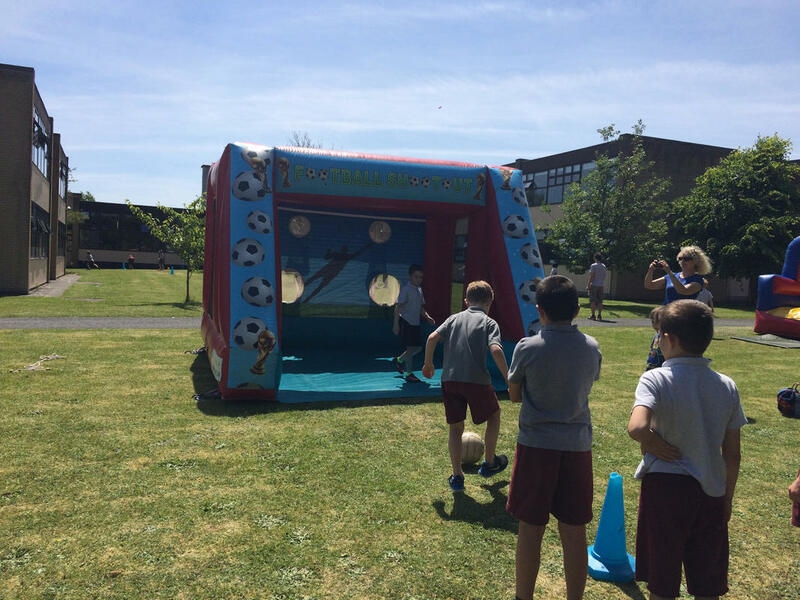 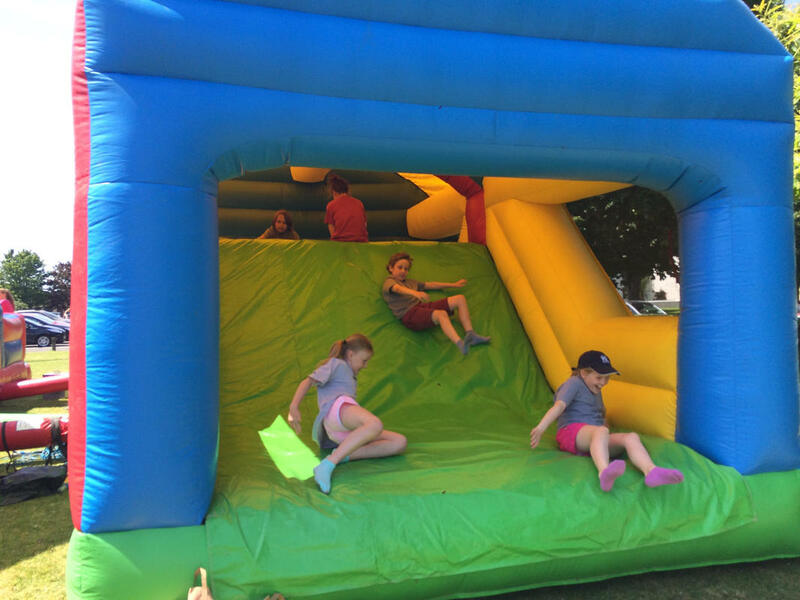 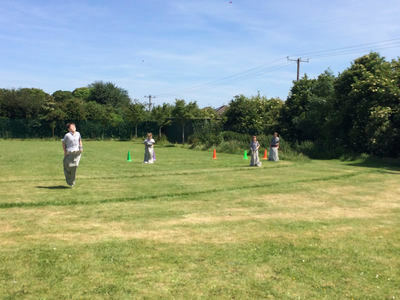 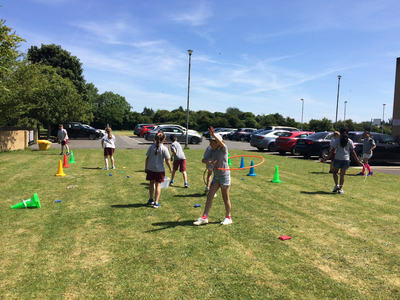 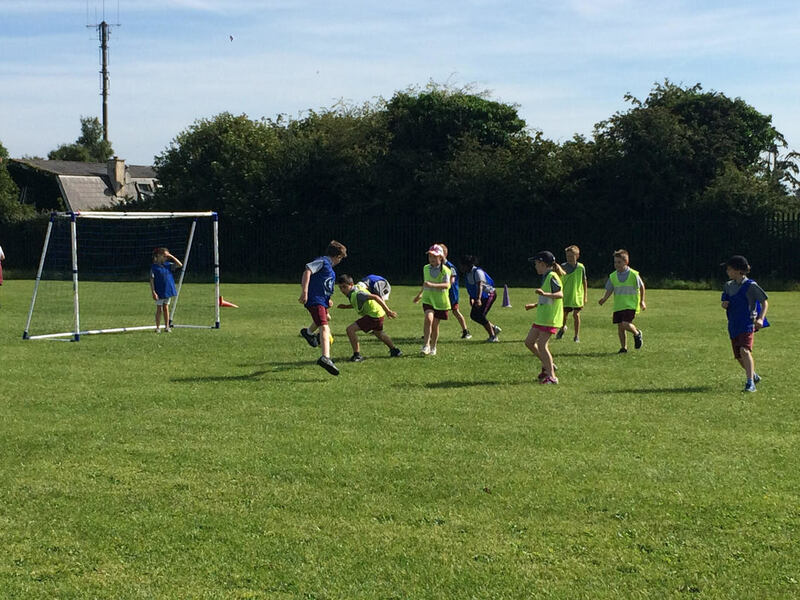 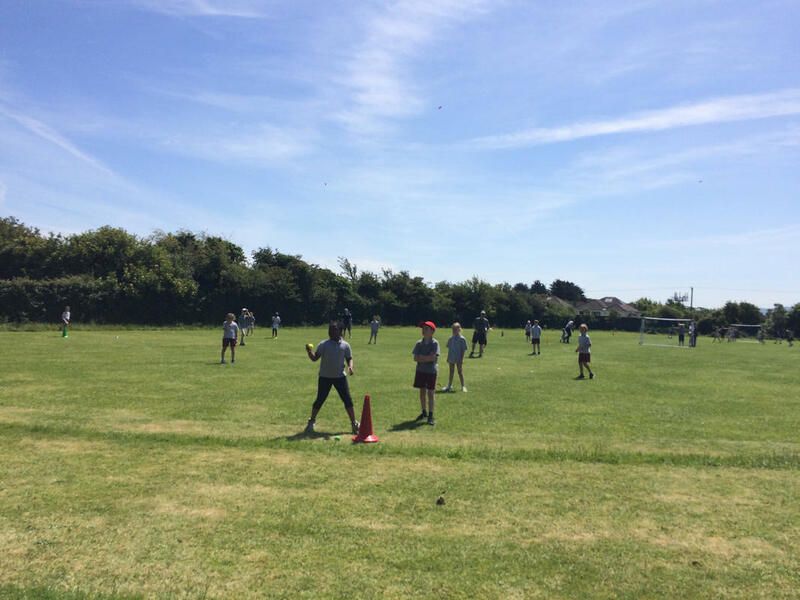 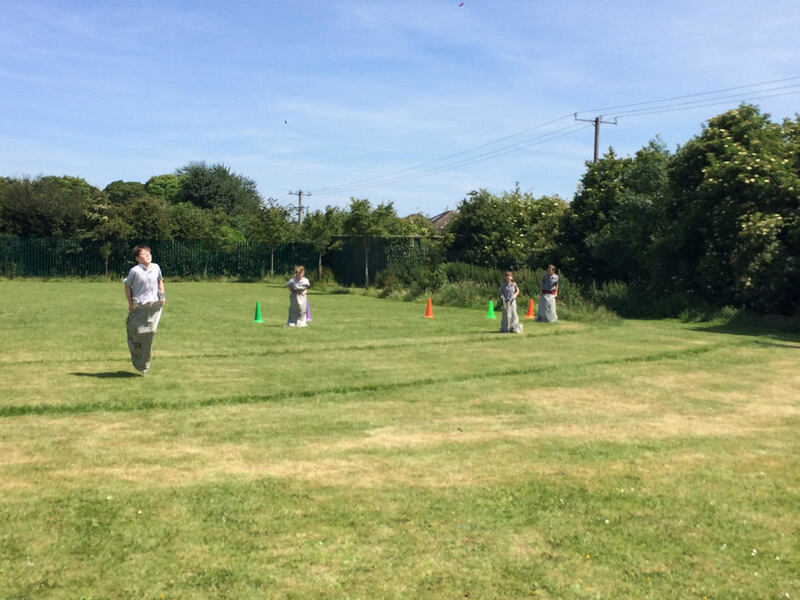 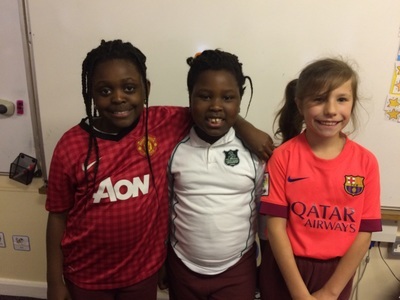 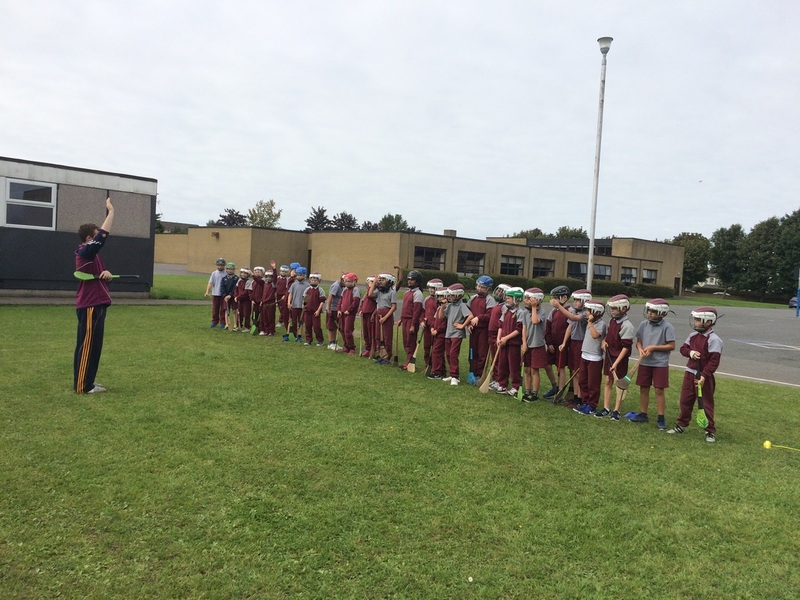 Well done to all the boys and girls who participated in Sports Day this year. 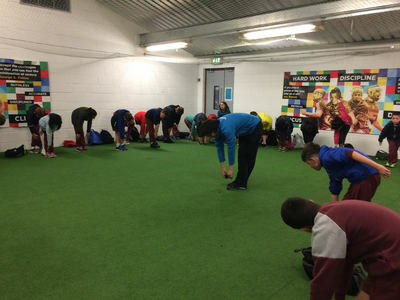 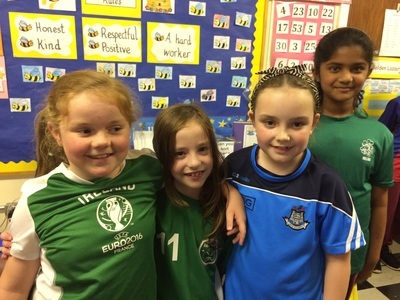 3rd Class have some fantastic athletes! 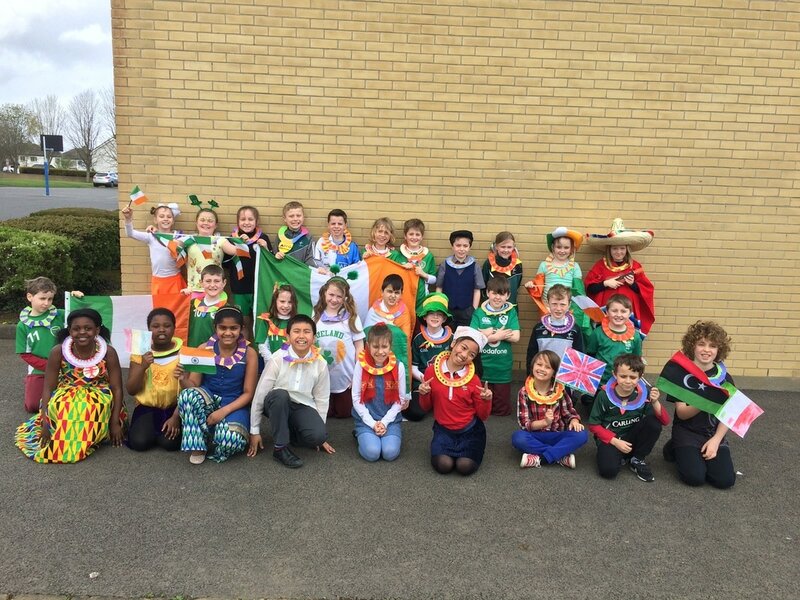 Intercultural day costumes and visitors! 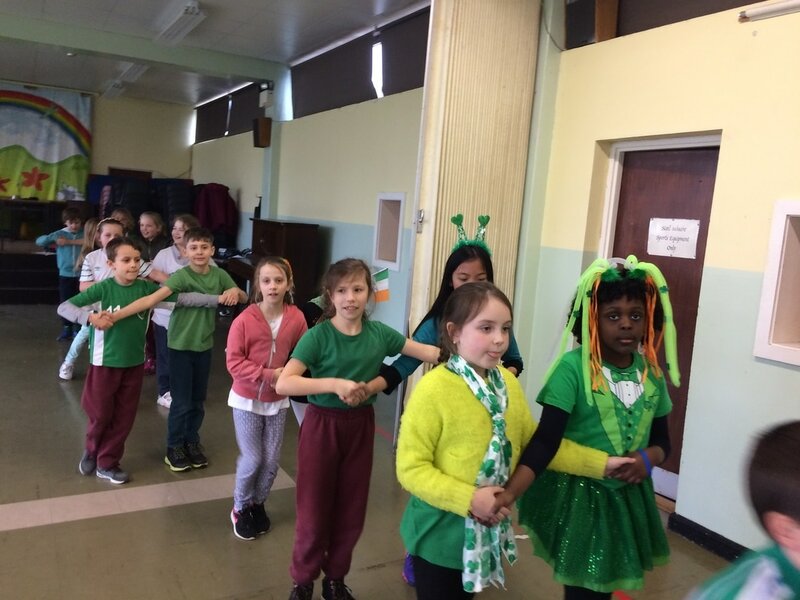 We made African Jewellery to wear to the parade. 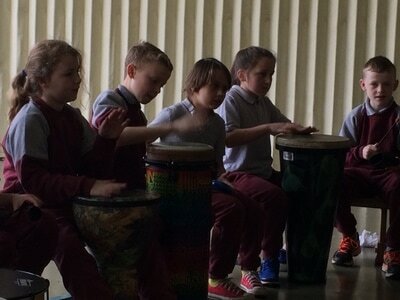 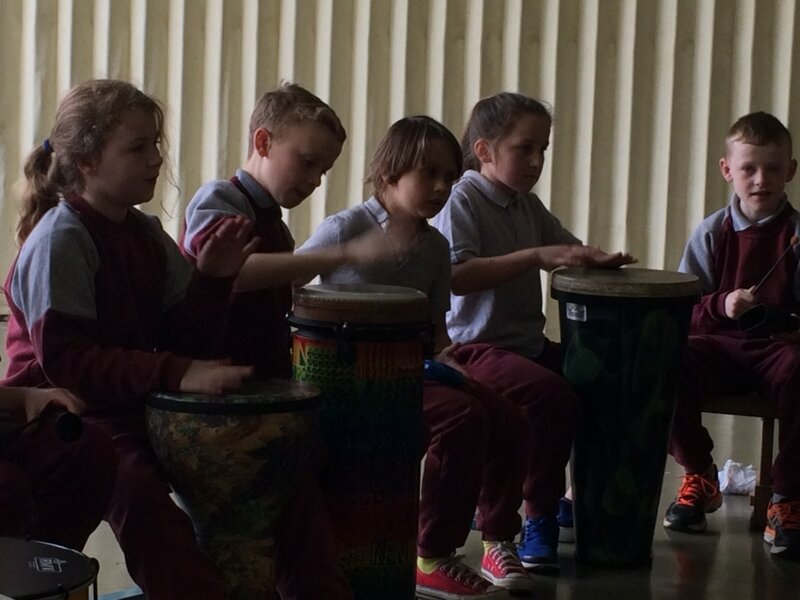 We spent the afternoon at an African Drumming Workshop. 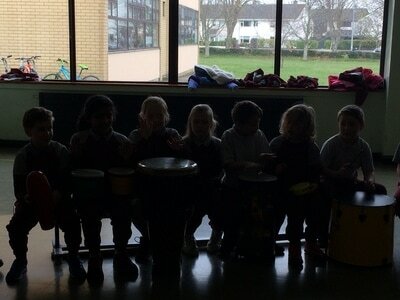 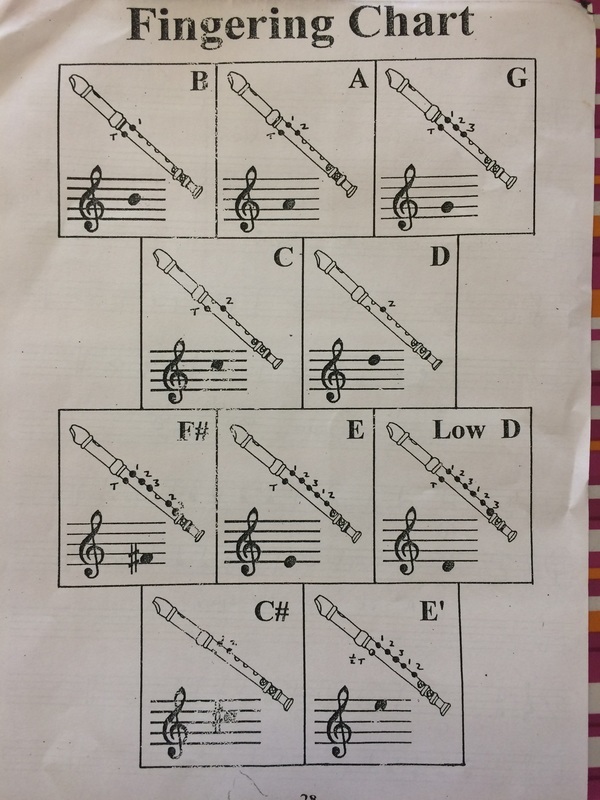 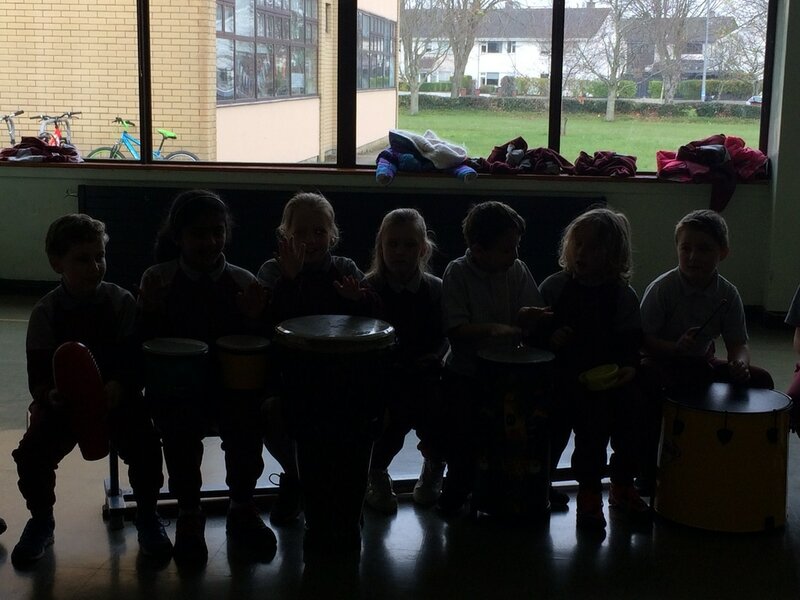 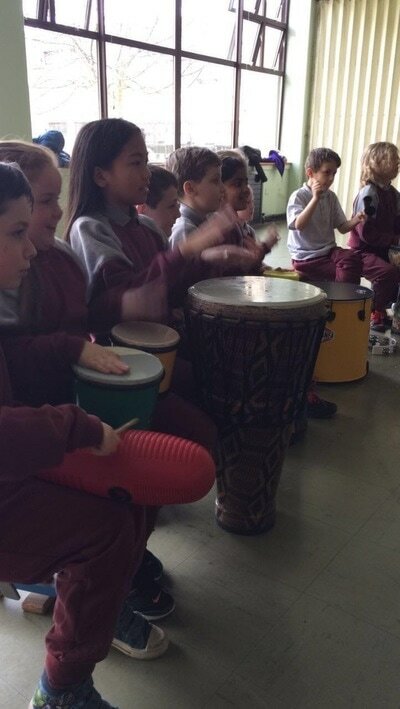 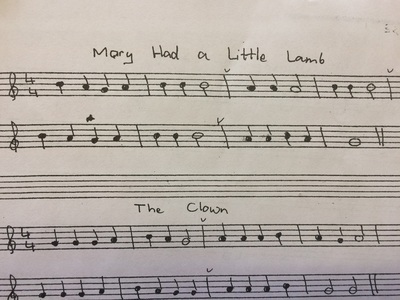 We had lots of fun playing different rhythms. 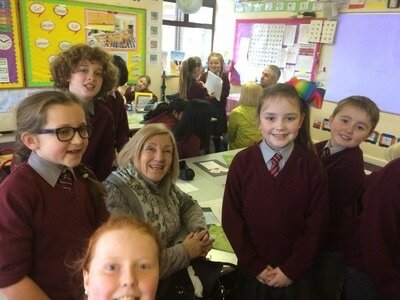 Mrs. Daly came in to help us with our Sow and Grow Activity Set. 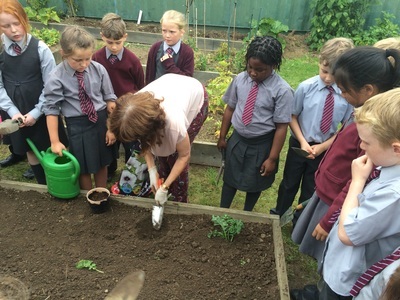 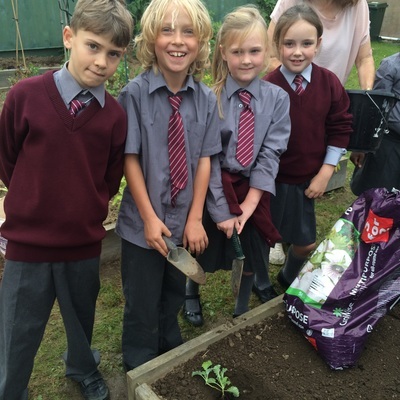 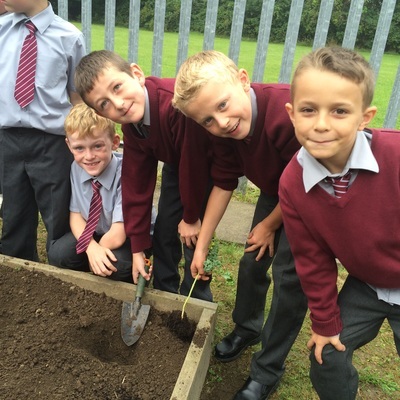 We planted Baby Carrots, Green Beans, Cress Seeds and Runner Beans. We cannot wait until they start growing! 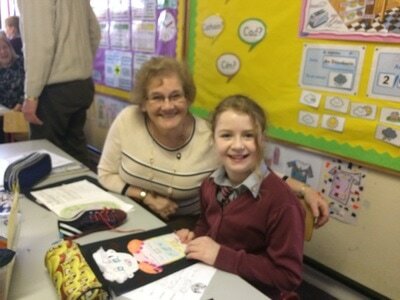 We spent three weeks making our clay tiles for our mums. The first week we had to create our tiles using the clay. 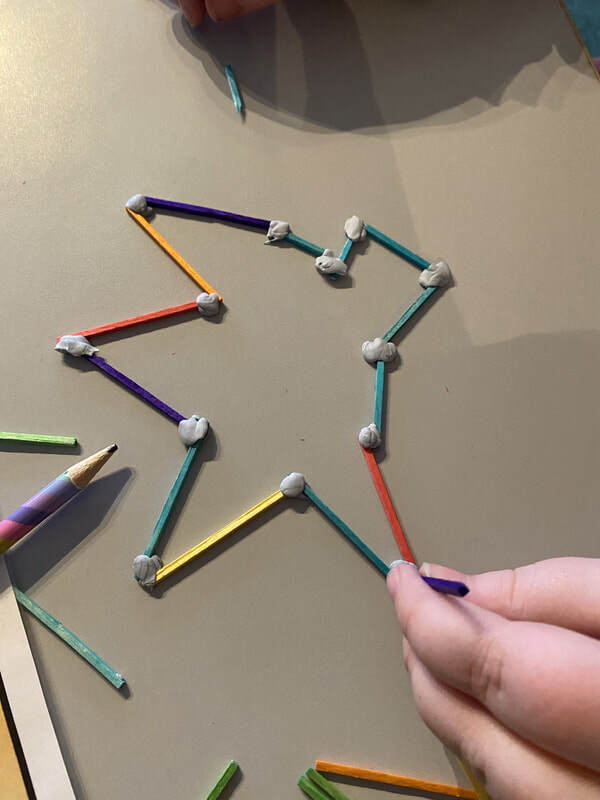 We used the cross-hatch technique to join our clay flower pieces together. 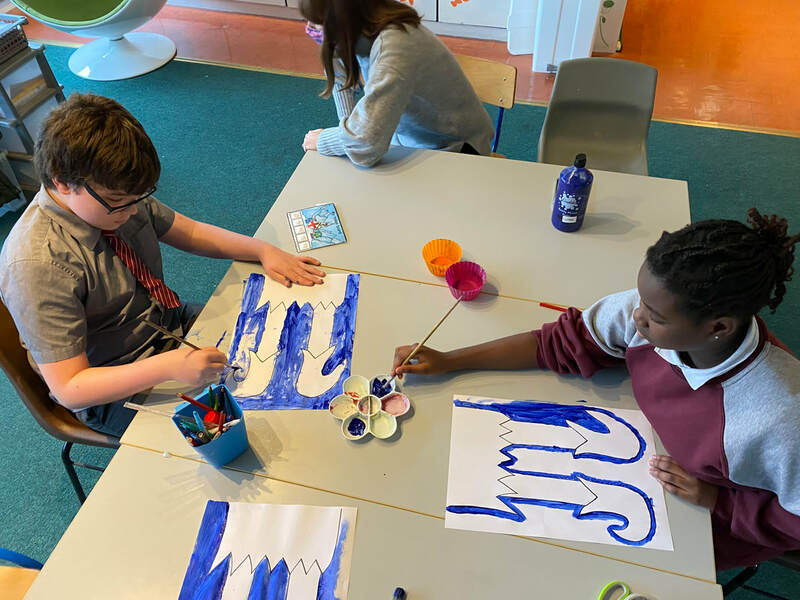 The following week we chose bright colours to paint the titles. Finally, we made our clay tiles shiny by covering them in glue. 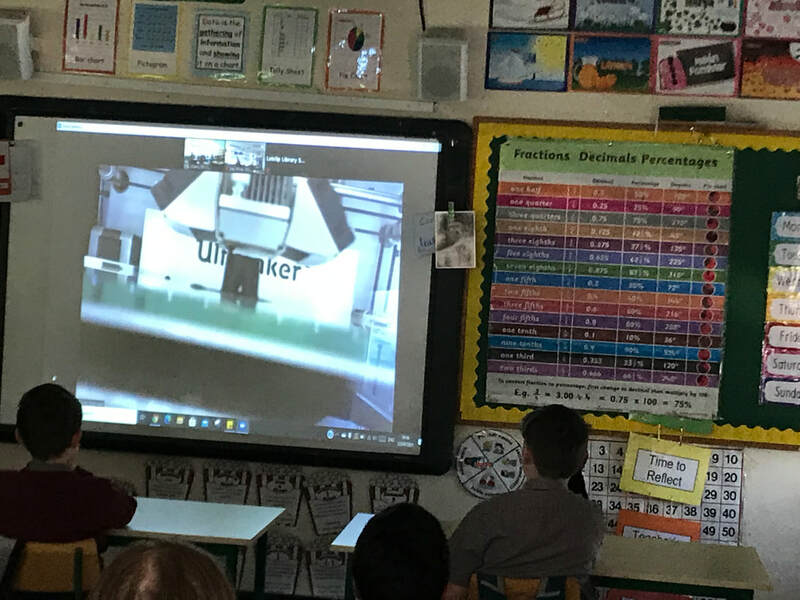 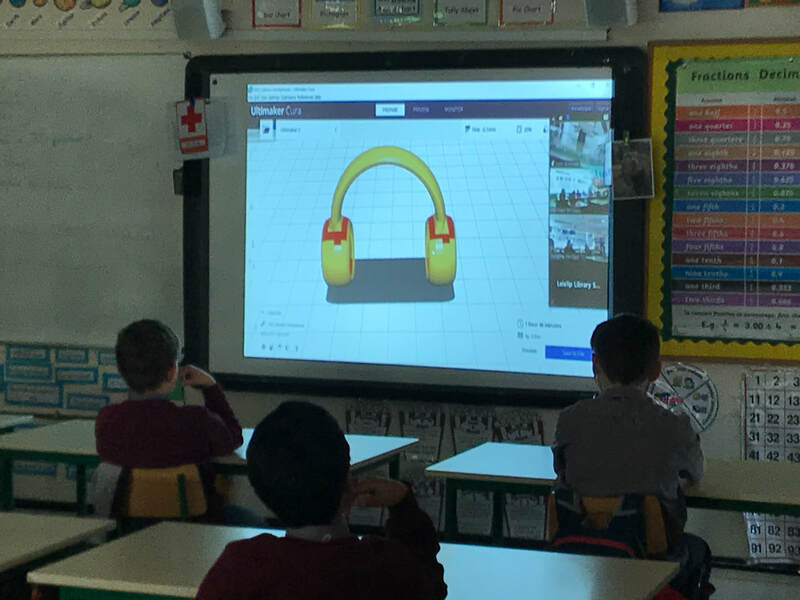 D'fhoghlamar an dán "Ar Scoil"
We were so lucky to be able to complete the Intel Mini Scientist Workshop. 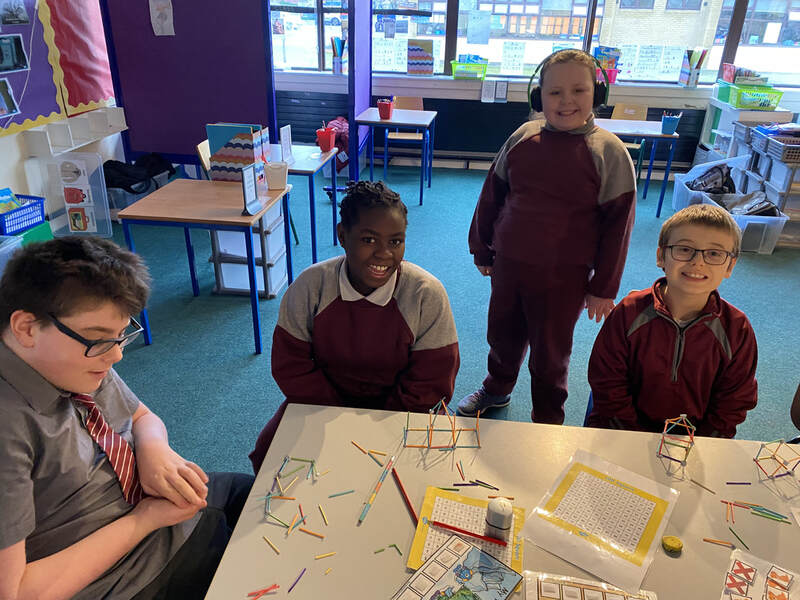 Our challenge was to try and build different types of bridges using lollipop sticks, blue-tack and string. 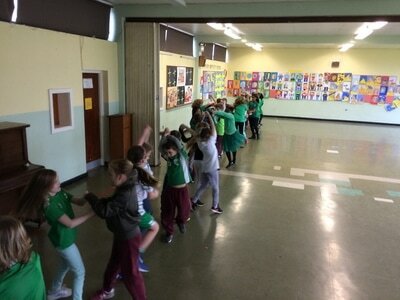 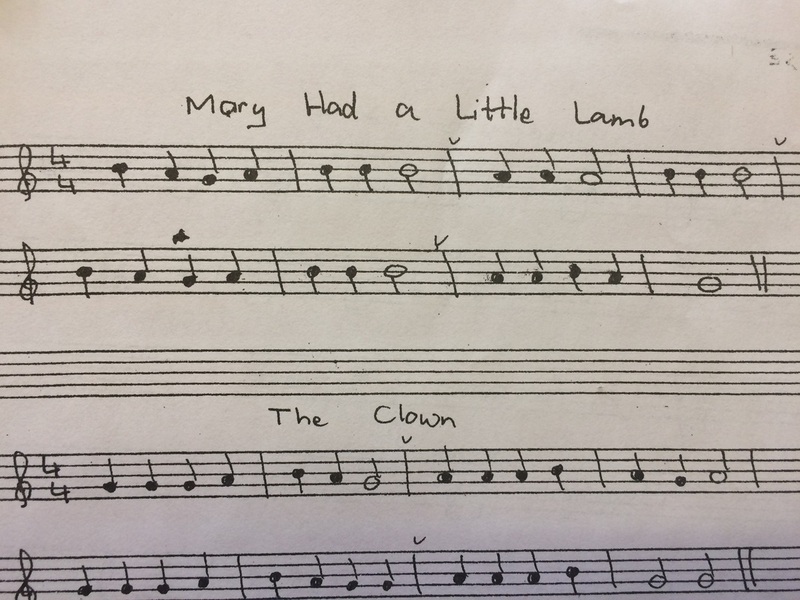 It was lots of fun and really got us thinking!! 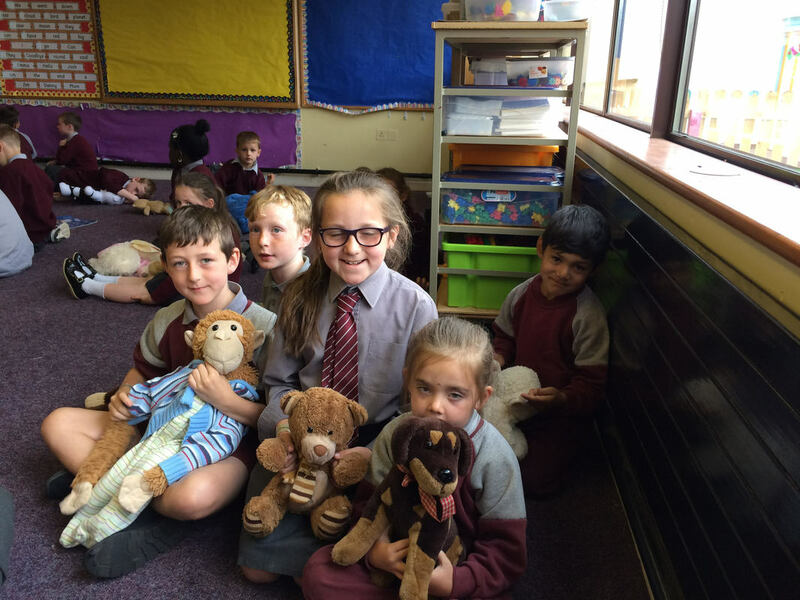 We spent the week making lots of new friends with Junior Infants. This month we were working on our gymnastic skills! 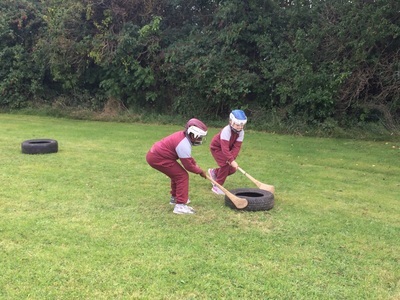 We had lots of challenges. Have a look at our Wonderful Paintings we made for the Shelia O'Hara Memorial Competition. 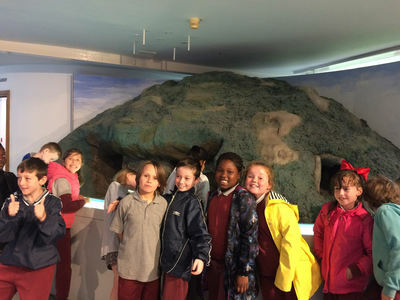 The theme this year was Tourism. 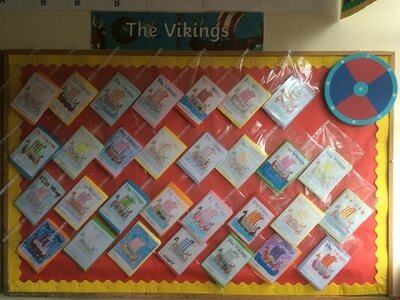 We learnt all about the Vikings when we came back after Christmas. 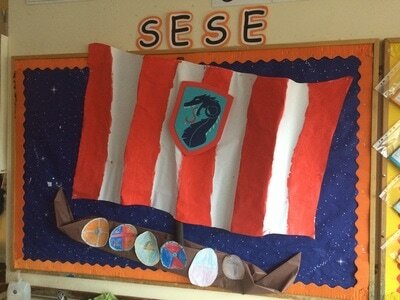 We put a great amount of effort into creating our Viking Projects. As a class we painted a 3D Viking Boat! 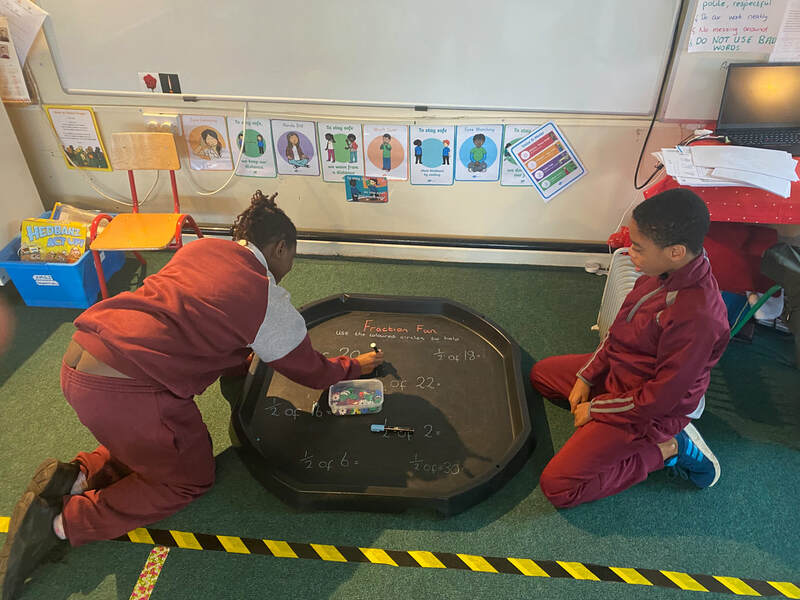 We love playing the quick paced multiplication dice game! 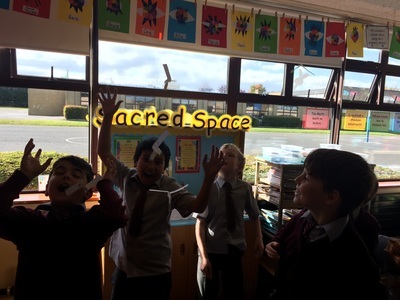 We experimented in science with the spectrum of light. We proved that you can made white light from the seven colours of the rainbow. 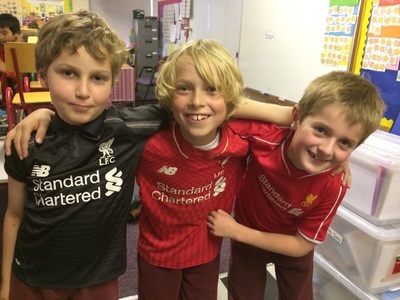 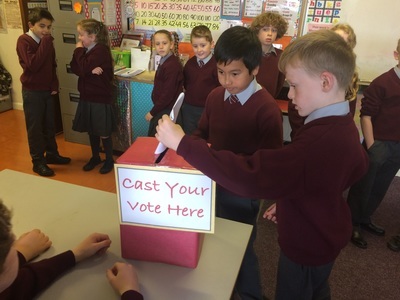 ​On Wednesday the 12th of October, 3rd class had to vote for their Student Council Class Representatives. 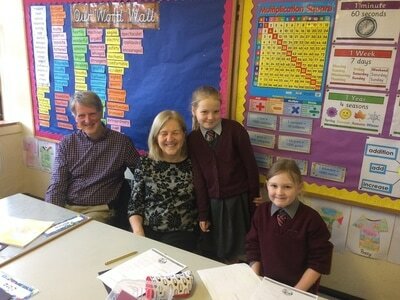 All of the nominees spoke on Tuesday in front of the class and each of them did a fantastic job - well done! 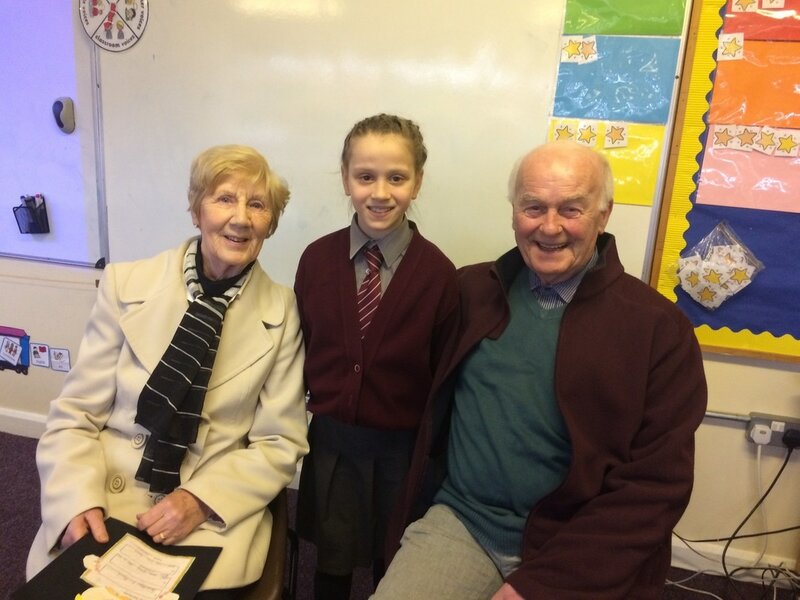 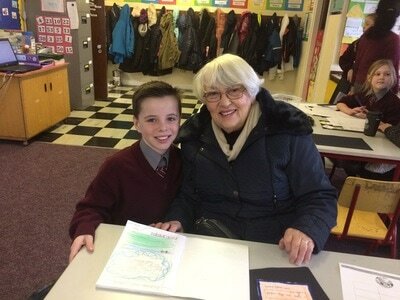 On Wednesday we went up to the Polling Station which was in Ms O'Mara's classroom. 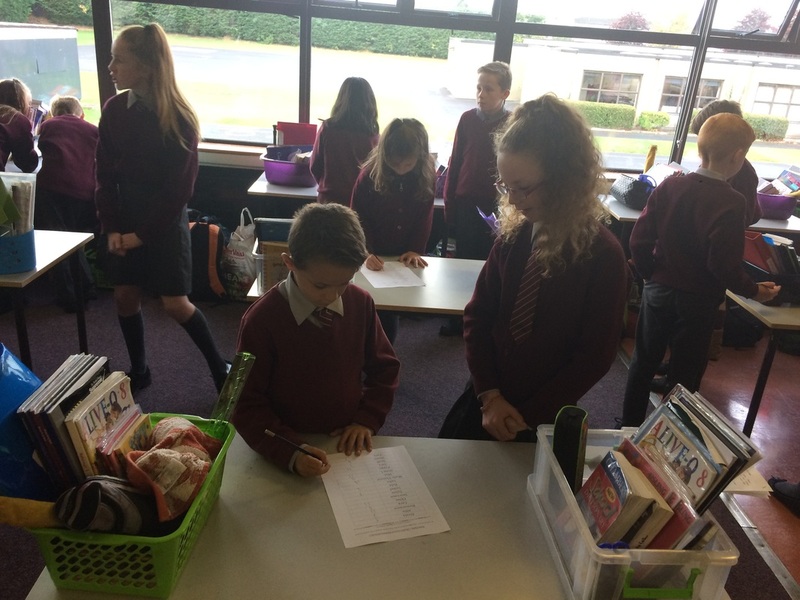 There we had to get our Ballot Sheet and cast our votes! 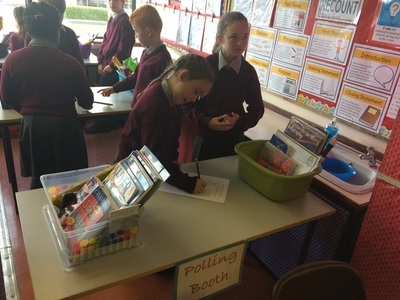 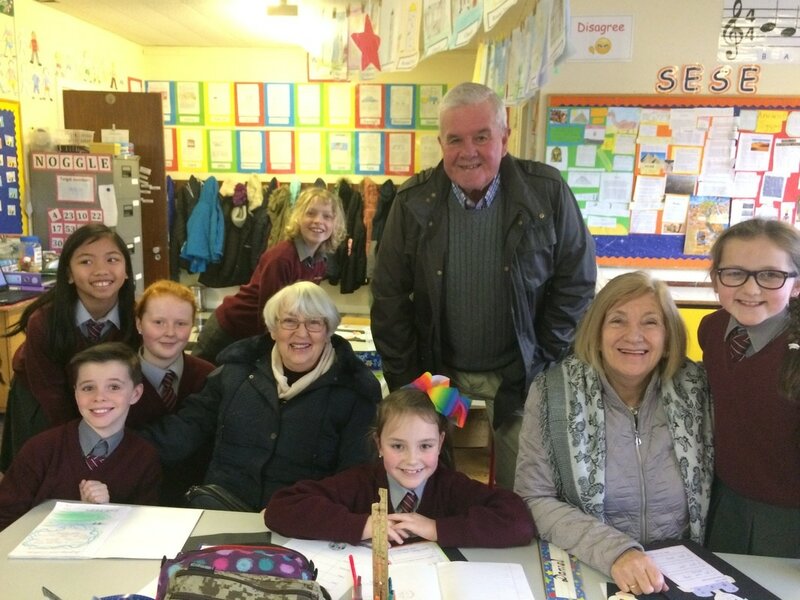 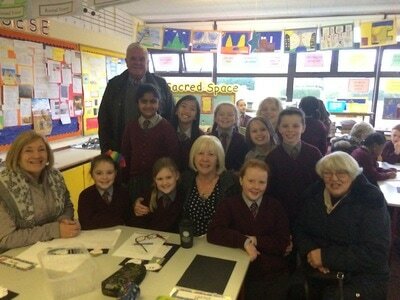 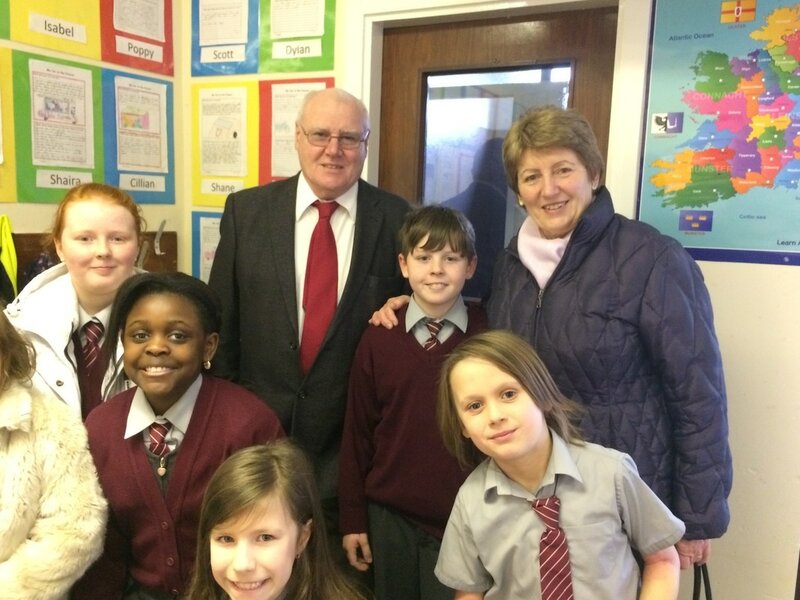 The 6th class boys and girls helped us at each of the Polling Stations. Best of luck to all of the members of the Student Council! We have been learning about different types of lines and angles. 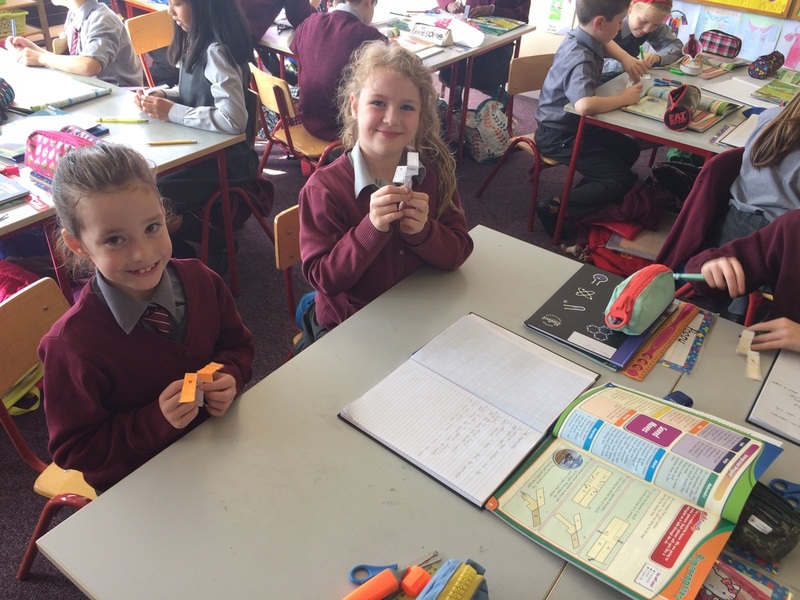 We used lollipop sticks to search for "Right Angles" in the classroom. Then we created our own "lines and angles" posters. We really enjoyed ourselves this week during Science. 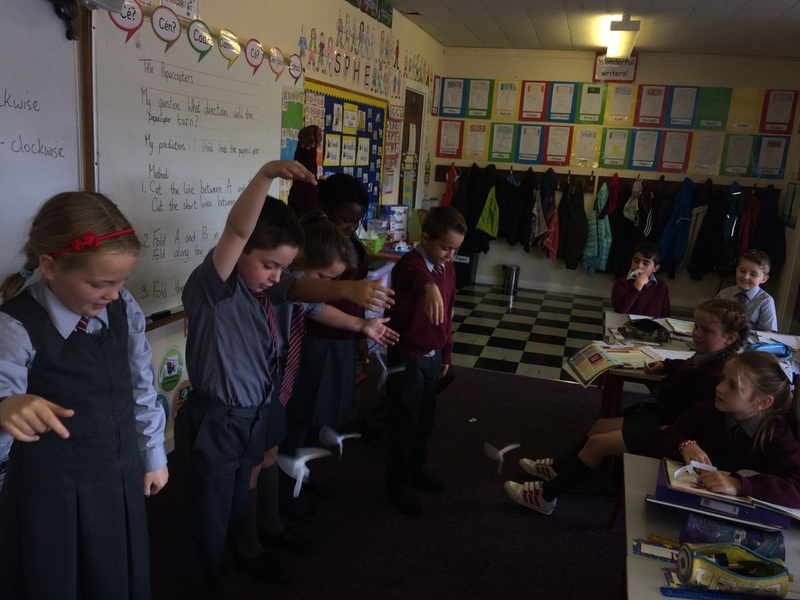 We were experimenting with Papercopters. First we had to construct our Papercopters (which were a little bit tricky!). 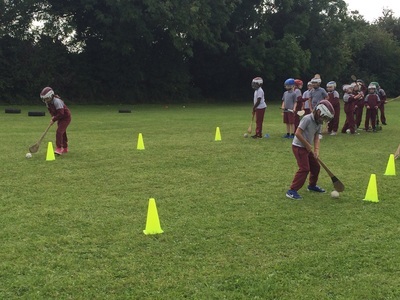 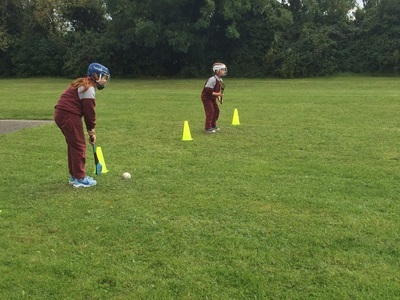 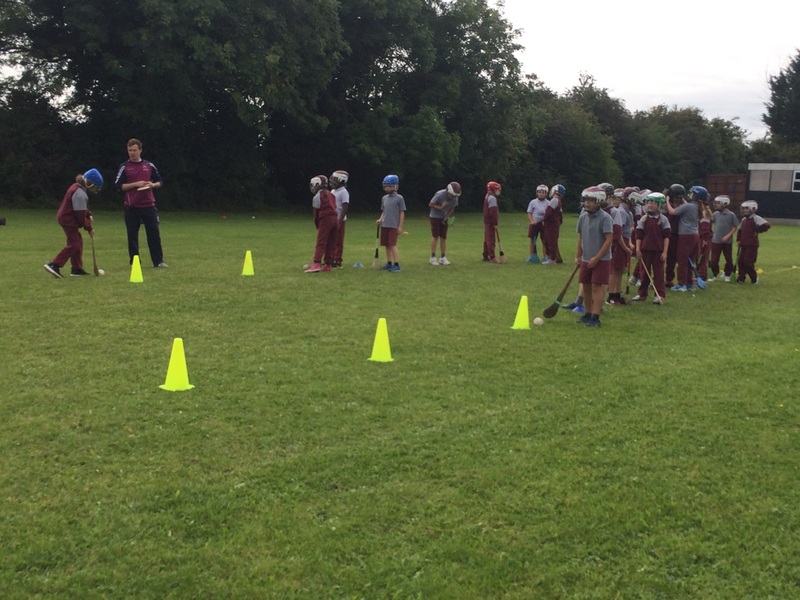 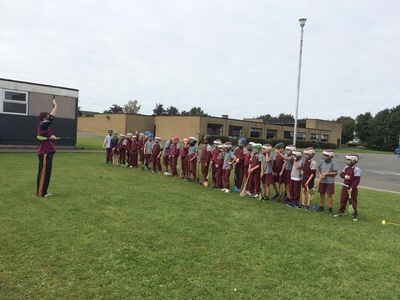 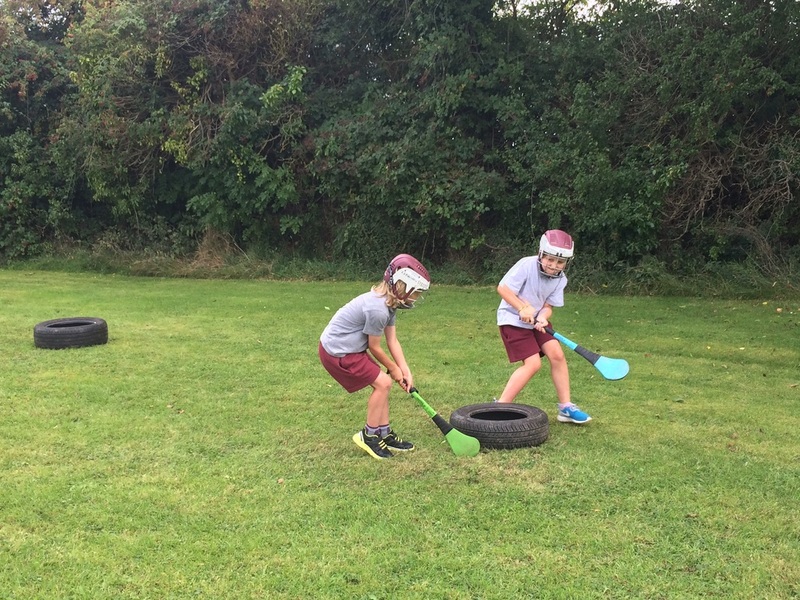 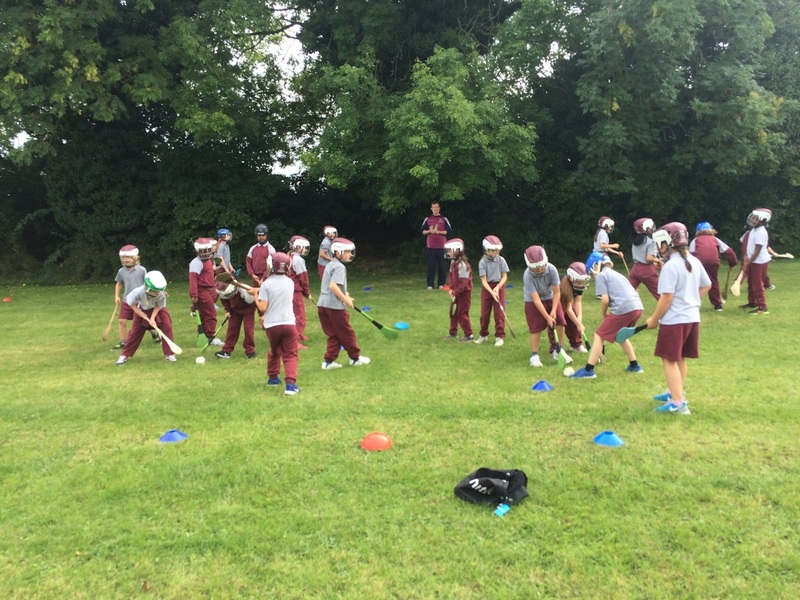 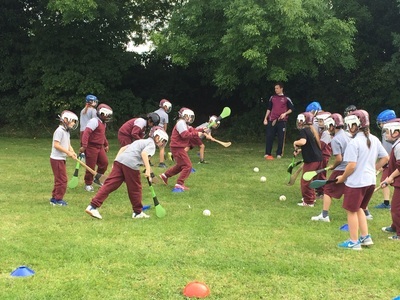 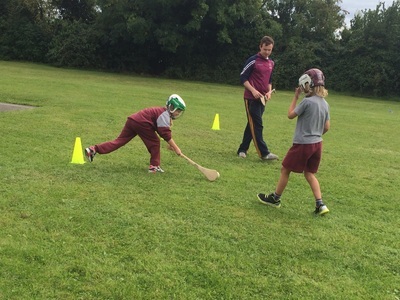 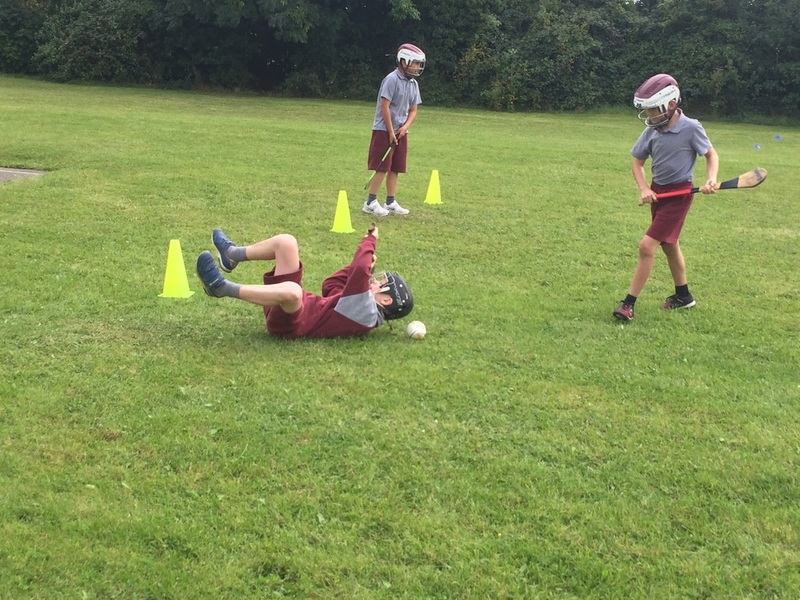 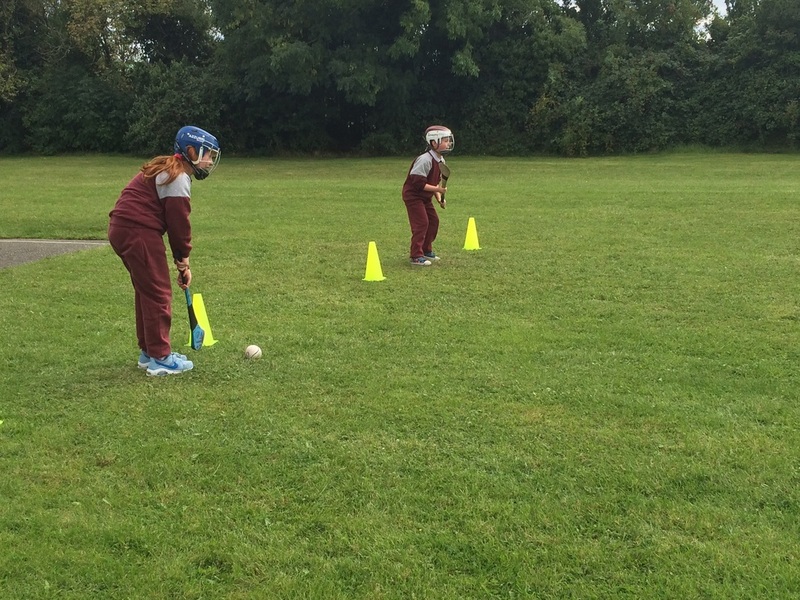 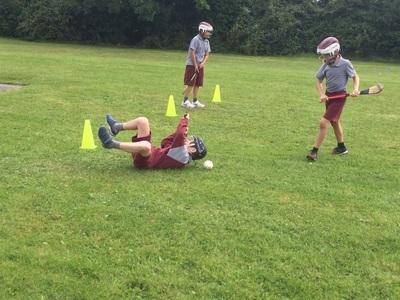 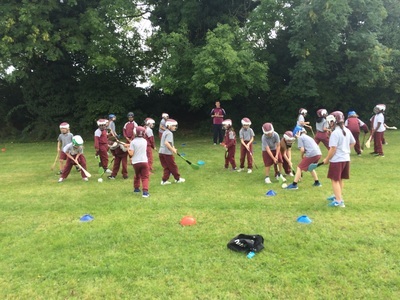 3rd Class are having a great time learning how to play hurling. 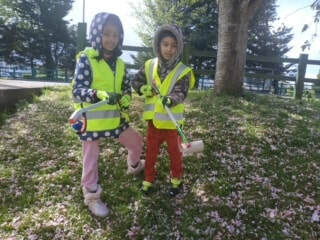 We are getting lots of exercise every week. 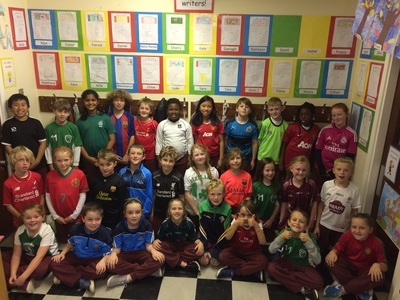 Some of the boys and girls even joined the local team! 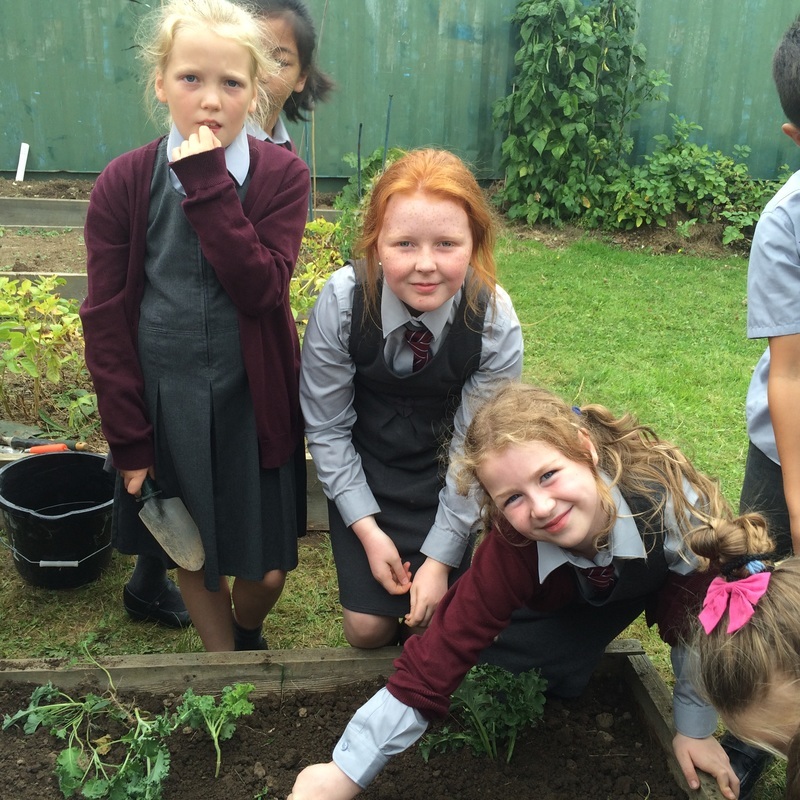 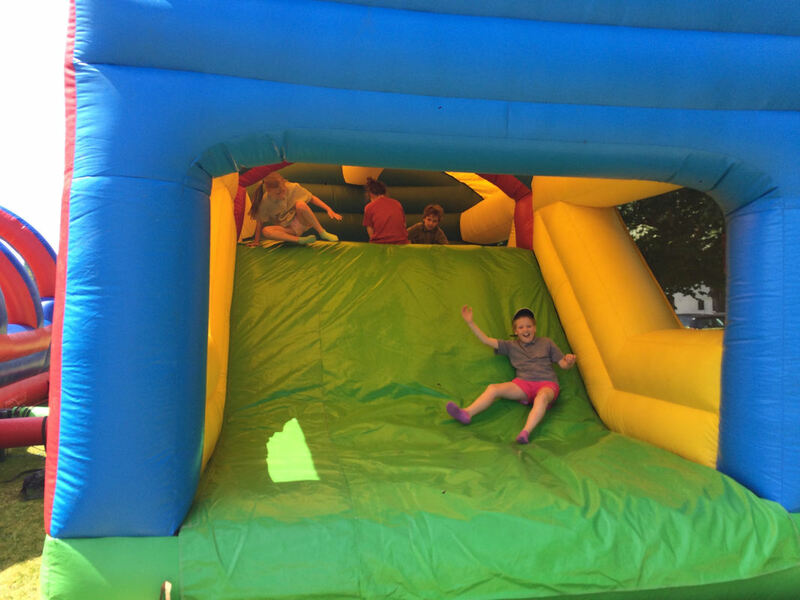 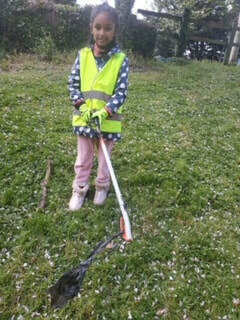 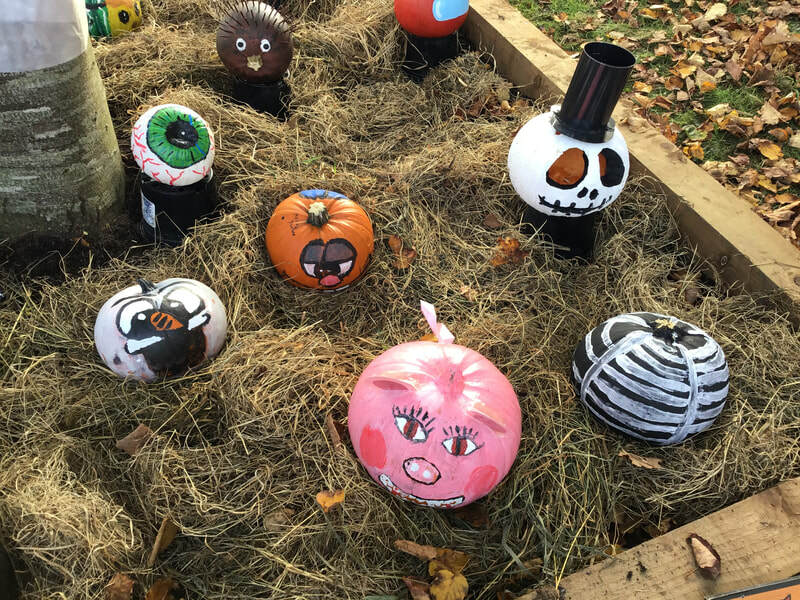 We had fantastic fun in the garden on Wednesday. 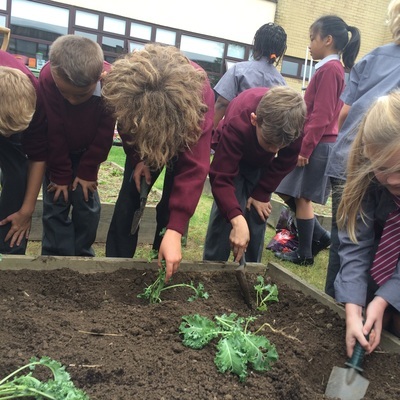 Mrs. Daly brought fresh kale to school for the boys and girls to plant.